One fine October day on a beach in Galicia, I completed the most challenging and satisfying experience of my life. In a little over a month I’d walked more than 500 miles from Saint-Jean-Pied-de-Port, a small French town at the base of the Pyrenees, to Santiago de Compostela, and finally to Finisterre on Spain’s Atlantic coast. A year later, I strapped on my backpack again, spending nearly three weeks walking from Porto in northern Portugal to Santiago, and then a loop to Finisterre, Muxia, and back. These paths are part of a vast network of medieval pilgrim routes across Europe collectively known as the Camino de Santiago. This post is devoted to the gear I took with me on each hike, what changed from one to the next, and how well it all worked during two months of walking towards that great cathedral in northwest Spain. Note that this equipment was what I carried on the Camino Frances, Portuguese, and Finisterre routes, between late August and mid-October. Walking other routes and/or at other times of year would likely have required different gear. This post is broken it up into several sections, so if you’re only interested in a particular part, you can skip straight to it. It’s easy to spend endless hours researching the best Camino backpack, only to come away more confused than you started. When I set out to walk the Camino Frances, I was traveling full-time, with nowhere to easily store excess gear long-term. Since I didn’t want to buy another backpack just for one hike, I decided to use the 30-litre daypack I already had. Moderately waterproof, with adjustable waist and shoulder straps, it held up to the task well enough. It was slightly too short, though, which meant the base of the bag sometimes rubbed against the bottom of my back. It never became a major problem, but by the end of the walk I started stuffing a shirt between the bag and my back as a cushion. For the Camino Portuguese, I bought a cheap pack from Decathlon, the Forclaz 40 Air. It was terrible, with uncomfortable straps, no padding, and a distinctly sweaty odour after three weeks of walking in hot conditions. I threw it out as soon as I finished. 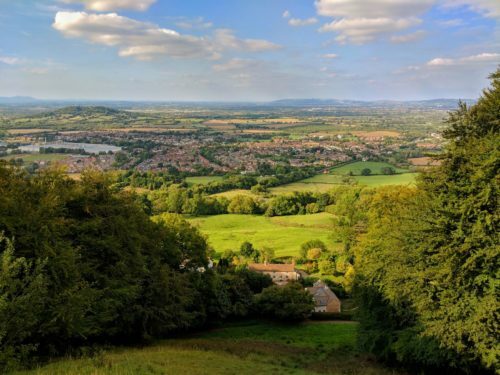 Last year, I bit the bullet and bought a quality hiking pack to tackle a week-long walk across England. 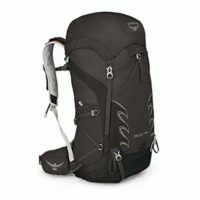 The Osprey Talon 44 is a mid-sized, top-loading pack with a 44-litre capacity. It weighs 1.1 kg (2 lbs 7 oz) when empty. The side pockets were ideal for the water bottle I used throughout the day, and the larger pocket on the back was a good place to stow my long-sleeved top when the day warmed up, or my wet poncho when the rain stopped. Snacks lived in the top lid, so I could easily grab them without having to open up the main bag. The harness and waist straps were comfortable even after walking all day, with sufficient extra space in the bag to make packing up each morning quick and easy. There was also enough airflow between my body and the pack to prevent back sweat, even in hot weather. Overall, this backpack was far better than anything I’d used in the past, and is what I’ll be taking with me when I walk my third Camino towards the end of 2019. I saw people with backpacks of all sizes along the trail, from tiny schoolbags to enormous 100-litre hiking packs, and everything in between. 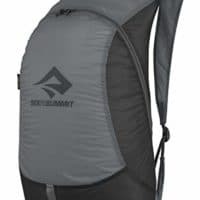 For most people, though, the best Camino backpack will likely be a comfortable, lightweight, sturdy 30-50 litre hiking pack, with good shoulder and waist straps. The key is to get plenty of practice with whatever you intend to use well ahead of time, and with as much weight as you intend to carry. The people I met who were sending gear home from Pamplona or nursing shoulder injuries hadn’t done this, and were suffering for it. A bit more preparation would have resulted in less pain to both wallet and body. The theory for the Camino is that your backpack and everything in it should be no more than ten percent of your bodyweight, and less is better. Mine weighed 7 kg without water, and I wouldn’t have wanted to carry any more than that. It’s also worth considering taking the smallest packable daypack you can find. 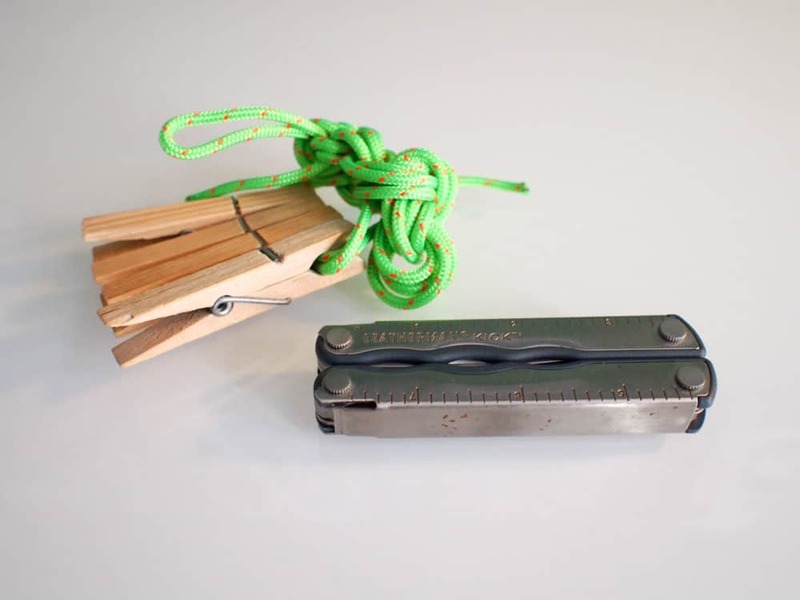 I use this ridiculously-tiny version from Sea to Summit, which weighs under 70g (2.4oz) and folds up smaller than my fist. 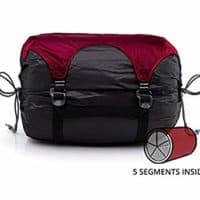 It’s ideal for throwing a few things into when exploring larger towns in the evening or on a rest day when you don’t want to carry your entire backpack around. It also gives you the flexibility to ship your main pack ahead now and then, and carry just the stuff you need for the day. A mid-sized, top-loading backpack that's ideal for long, multi-week walks like this, where you won't be camping or carrying a great deal of food. This daypack is surprisingly tiny when folded away, but still holds enough stuff for a day of walking or city exploring. When it comes to clothing, picking the right shoes and socks is obviously very important, and as I discovered, underwear matters too. You don’t need to get carried away with the rest of your clothes, though. I took three sets, along with a few things to protect me from hot, cold, and wet weather, and it was the right amount. Just like backpacks, the best pair of shoes to wear on the Camino are a bit of a heated topic. After much research, I decided I didn’t want to use full hiking boots. You don’t need the extra ankle support on the type of terrain that makes up most Camino routes , and the added weight and heat buildup are a recipe for injuries and blisters. I wasn’t convinced by the people suggesting lightweight trail or running shoes either. Any time I’d worn that type of footwear on a proper hike, I’d struggled on rocky or unstable ground, and been very concerned about rolling an ankle. 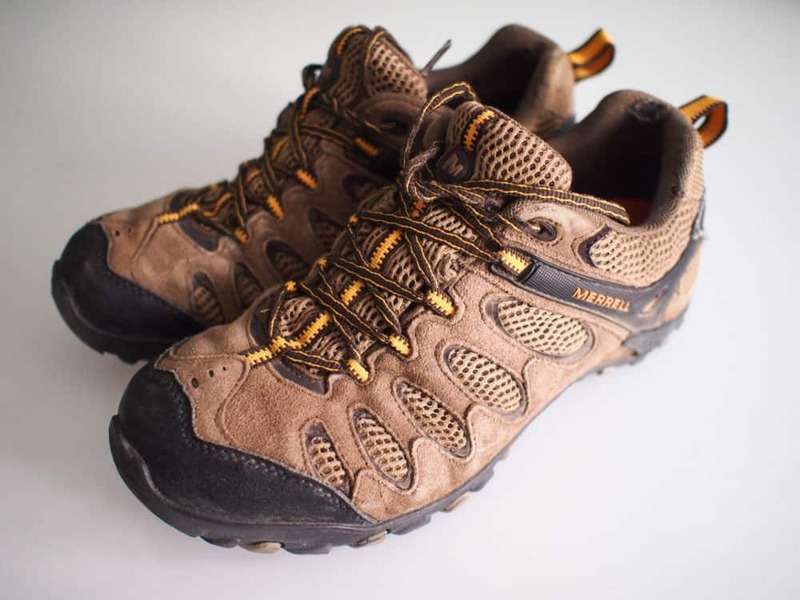 In the end I went for a middle ground, buying a pair of Merrell Vertis Ventilator hiking shoes from Decathlon in Spain. Essentially the same as Merrell’s Moab Ventilator range elsewhere in the world, they’ve turned out to be ideal for walking both my Caminos. The soles had plenty of grip even on slippery rocks, and were comfortable enough to walk in for hours without pain. They were waterproof enough to keep light rain out, yet sufficiently breathable for my feet to not get too sweaty on hot days. That’s important, since sweaty feet can quickly become blistered feet. The extra dampness softens the skin, which then rubs away more easily as you walk. In an environment where hot, sunny days vastly outnumbered wet ones, letting the moisture out was more important than stopping it from getting in. I’d worn the shoes most days for six months prior to starting the Frances. You need to have shoes that have been broken in well, and mine definitely were — probably a little too well, really, since the back and insoles were falling apart by the time I arrived in Finisterre. Given I only got one small blister over the course of nearly 900km, though, I had nothing to complain about. In fact, before flying out of Santiago, I walked out to the Decathlon store and bought the exact same shoes to replace my mostly-destroyed ones… which I then used for the Camino Portuguese a year later. When those ones wore out, I replaced them with the latest version of the Moabs, and took another couple of week-long walks in them. I think you’re getting the idea. I like these shoes a lot. 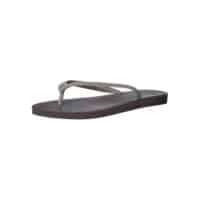 I also took a pair of flip-flops that I wore every evening, and in dirty albergue showers. The last thing I wanted to do was put my hiking shoes back on after walking 25km+ in them each day. Comfortable alternate footwear was a must. I've worn out two pairs of these shoes while walking my Caminos, and am now well into the third pair. They're ideal for long days in hot conditions. After 15+ miles of walking each day, the last thing I wanted to do after a shower was put my hiking boots back on. 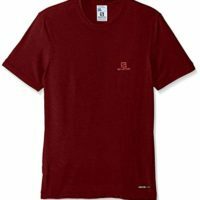 When walking the Camino Frances, I just used three cotton t-shirts I already owned, but it wasn’t a great choice. One of the cheap ones from H&M stretched to the point of being almost unwearable within the first two weeks, and I replaced it in Burgos. The thicker t-shirt survived the journey, but at the expense of taking a long time to dry after doing laundry. If I got in too late to dry it fully in the evening sun, it’d often still be damp in the morning. 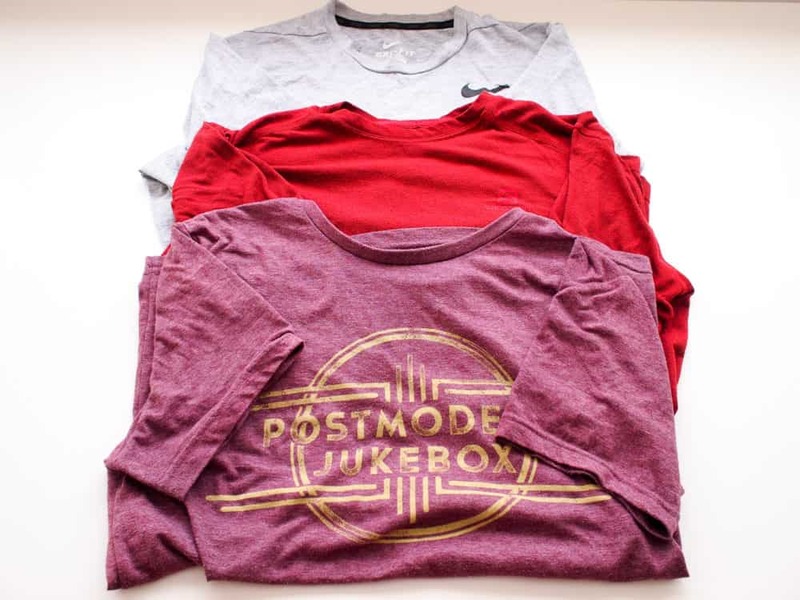 Before starting the Portuguese route, I picked up quick-dry t-shirts from Nike and Salomon on clearance instead. The ones I found looked more like normal t-shirts than dedicated running gear, so I could wear them out at night without feeling entirely like I’d just stepped off the trail. This isn’t exactly the same Salomon shirt, but it’s pretty close. I also took one soft cotton t-shirt, which I wore after showering in the evening, and to sleep in. I picked up a long-sleeved Icebreaker merino wool top a few years ago, and it was an obvious choice for both Caminos. It was thin but warm, weighed very little, and handled being worn every day for a month without being washed. I did notice a small hole in the back by the end of the walk, but whether that was due to wear and tear or getting caught on something, I don’t know. There were a couple of early mornings when the temperature was barely above freezing, but wearing a second t-shirt under the merino top kept me warm until the sun came up. The rest of the time, putting it over a single t-shirt was fine. The Icebreaker range comes in different styles and designs, so pick something that’s not completely ugly. You may want to go out at night in the larger cities without looking (entirely) like you just stepped off the trail. 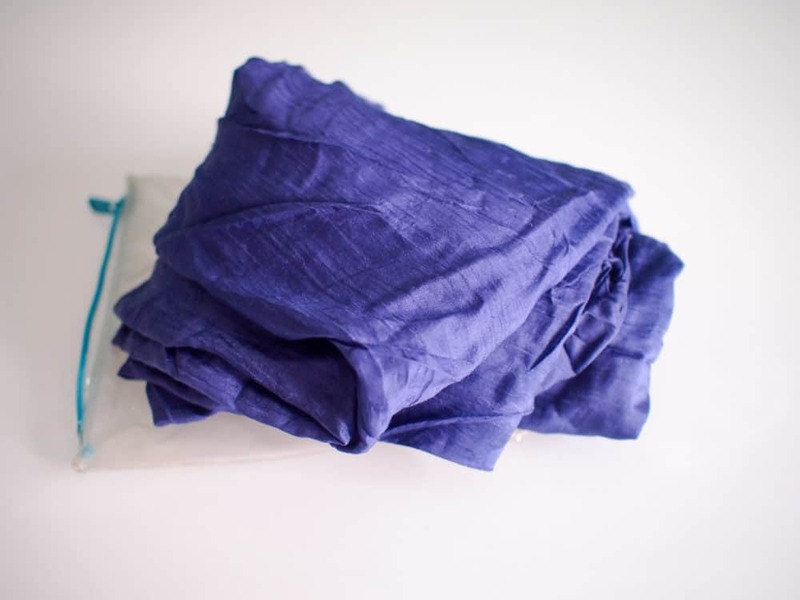 After trying cotton t-shirts and dedicated running shirts, I've settled on quick-drying hybrids like this as the best of both worlds. 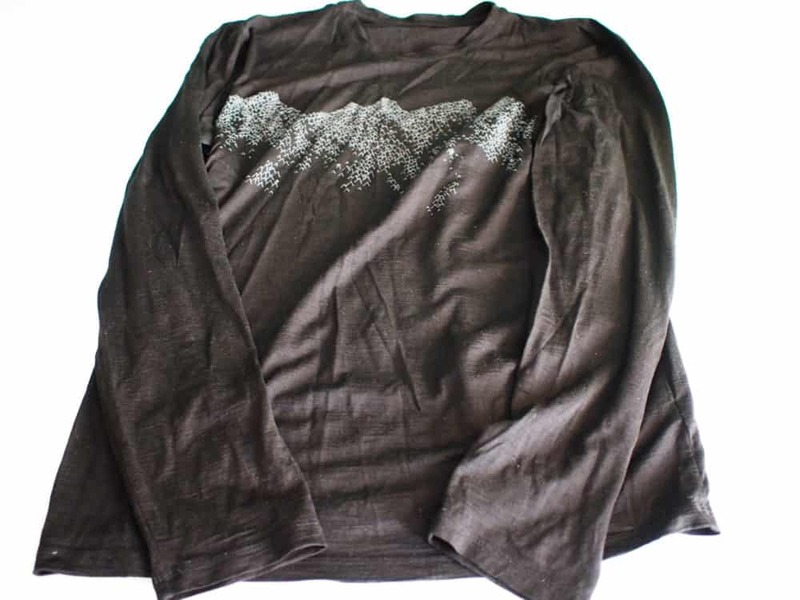 Despite being so thin, this long-sleeved merino shirt kept me warm on chilly mornings and evenings. 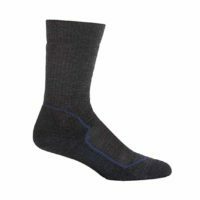 I knew that good socks were crucial in helping prevent blisters, so I took three pairs of Icebreaker merino wool hiking socks, plus a pair of cotton ankle-length socks. 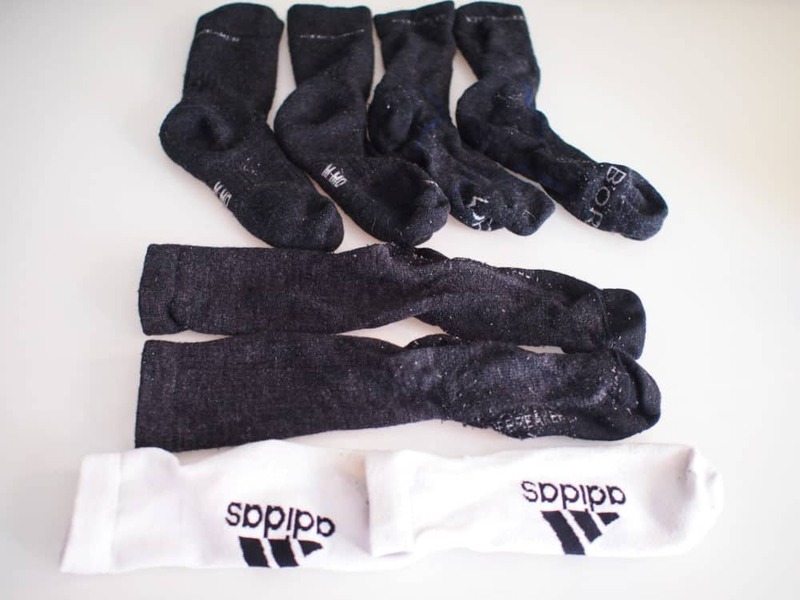 I always wore two pairs, the cotton socks as an inner layer and a merino pair on the outside, unless the cotton ones hadn’t fully dried from the previous day’s washing. The merino socks were great. They were very comfortable, and my feet didn’t get too hot or sweaty. They took a little longer to dry than expected, but I just hung them off my backpack the next morning if necessary. One sock developed a hole in the heel by the end of the walk, as did both of the cotton socks, but to be fair, none of them were anywhere near new when I started out. I just replaced them all before my next long hike. I’d highly recommend merino wool socks for anyone walking the Camino. They’re not cheap, but you only have one pair of feet to get you through the walk, and blisters can easily ruin the experience. 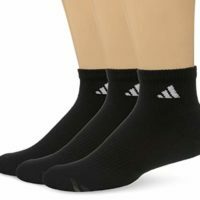 Socks made from merino wool aren't cheap, but they're easily the best option I've found for hiking. I get far fewer blisters using them than anything else. I used these socks as an inner liner, with a merino pair on the outside. The socks rub against each other rather than my foot, helping prevent blisters. I took three pairs of quick-dry boxer briefs on the Camino Frances, and they were all a bit different. I had a brand-new pair from Under Armour, plus two well-worn Champion pairs. The underwear that was most comfortable and caused the least chafing was the grey Champion 6" inseam version. I suspect that was because it was longer than the other two pairs, and less prone to bunching up. The other two were fine for the first 10-15km of each day, but would start to rub after that. Without any time to heal, the chafing became a minor issue after a week or two. I hadn’t taken baby powder with me — I could easily have bought some from a pharmacy somewhere, but Vaseline kept the problem at bay well enough to get me through. For the Camino Portuguese, I just went with three pairs of Under Armour boxer briefs with 6″ inseam instead. They worked perfectly, with zero chafing, and I’d highly recommend them. The best of the underwear choices I made for the Camino Frances. Unlike the others, these didn't chafe. 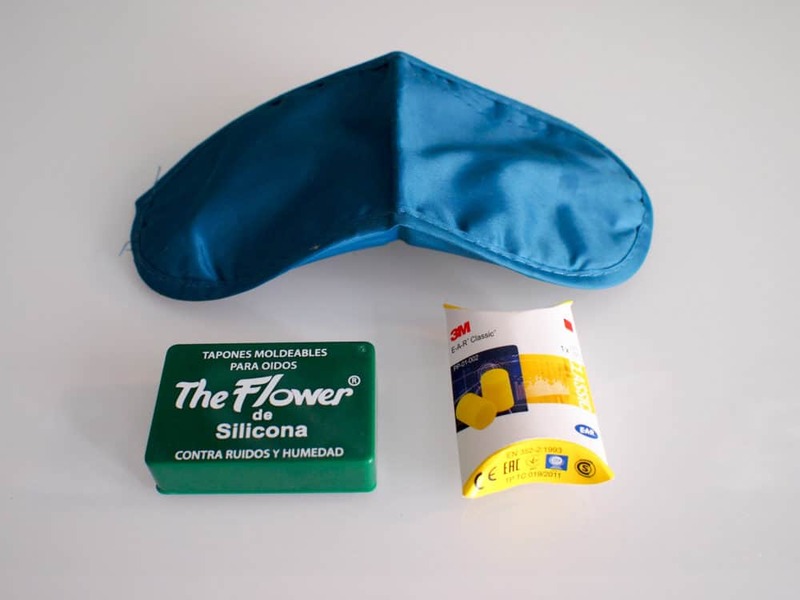 I took three pairs of these for the Camino Portuguese, and they were ideal. I took a pair of running shorts, an ancient pair of hiking shorts, and some quick-dry hiking pants, and only one of the three made it to the end. The hiking shorts somehow developed an enormous rip down the front at the start of day three, and I had to replace them in Pamplona with an overpriced, ill-fitting pair. Perhaps don’t start out with shorts quite as old as that. I’ve started using some Eider quick-dry shorts, and they’ve performed well. They’re comfortable, with an inbuilt, adjustable belt, and plenty of pockets for stuffing little bits and pieces during the day. If it’s hard to find Eider gear where you are, Columbia has also been making good hiking shorts for years. The running shorts were only for emergency use, and I rarely wore them, which perhaps explains why I overlooked them while packing in the dark one morning and didn’t notice for a week. Of all the things I could have lost, they were probably the thing that mattered least, and I didn’t take them the following year. Since I don’t like hiking in long pants, I only wore them during the evening after I’d stopped walking, but was pleased I took them. In the mountains and towards the end of both hikes, it was cold enough to need them once the sun went down. The pair I had didn’t convert to shorts, which didn’t bother me, but might be something to consider. Mine were cheap ones from Decathlon, but again, Columbia makes good hiking pants. Columbia makes great outdoor gear, including these hiking shorts. 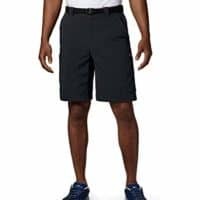 While the pants I've taken on my Caminos haven't been convertible into shorts, the extra flexibility is well worth considering. The sun is harsh in Spain, especially in the afternoon. I saw people with all kinds of sun protection, but for me, a cap was fine as long as I put sunscreen on my neck and face. Mine was a cheap North Face knock-off — I liked it because the brim folded up, so it could be stuffed in a pocket when not in use. It also came in handy when the rain set in. My poncho had a hood, and I put the cap on my head first to keep most of the rain off my face. It looked ridiculous, but given I resembled a drowned rat at that point anyway, fashion sense wasn’t a high priority. I bought a cheap pair of sunglasses for the walk, mainly because I’d broken my other ones the week before. The only things I cared about was that they fitted properly and had adequate UV protection. They were fine in both regards. The thick stems did leave a particularly attractive tan line along either side of my face after a while, so if you’re worried about that, maybe look for a pair with thinner stems. Walkers on the Camino take one of two approaches to keeping dry in bad weather: a poncho that covers both them and their backpack, or a combination of a pack cover and rain jacket (and sometimes, rain pants). I opted for the poncho because it took up less room, and was happy with the decision. 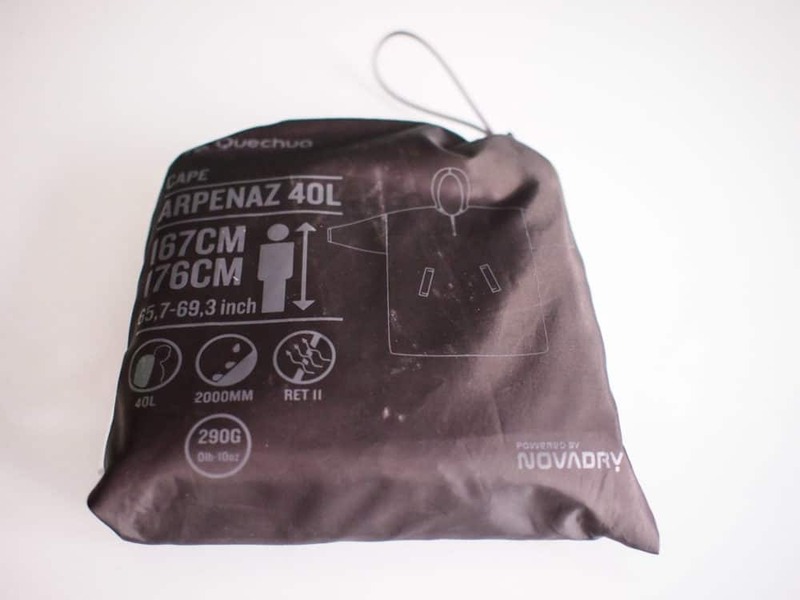 The Arpenaz model I bought from Decathlon was ideal, because it’s sturdier than most others. That’s good for two reasons: it won’t tear or spring a leak so easily, and flaps around less when you get wind as well as rain. The downside is that it’s heavier, but it was worth the 290 grams to me. 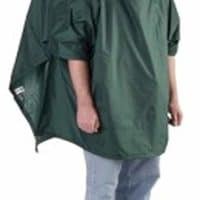 If you’re right on the limit with the size of backpack your poncho will cover, buy the next size up. 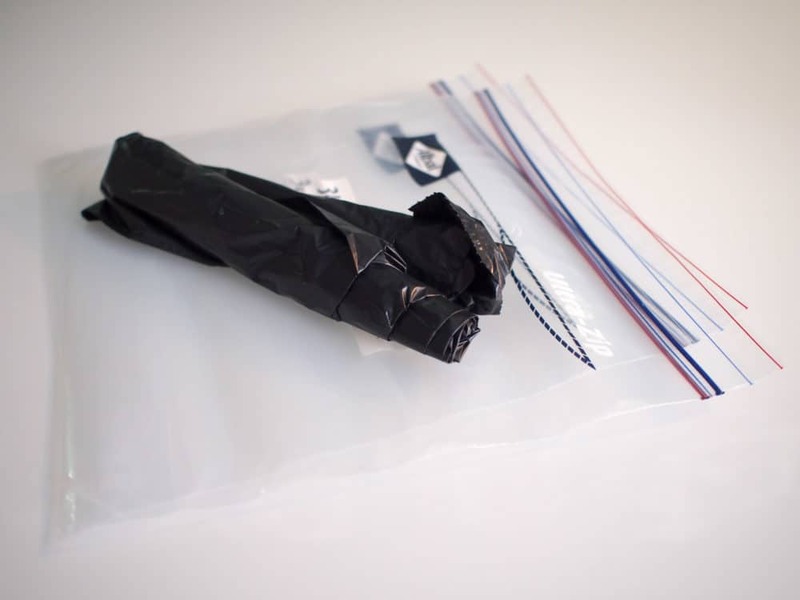 It’ll be easier to put on in a hurry, and there’s a better chance your bag will remain completely dry. I was fortunate enough to only get rained on three times during the Camino Frances, and just once on the Camino Portuguese. When it did show up, however, it was heavy and for several hours. Neither my pack nor any part of me covered by the poncho ever got damp. Even though my face and everything below my knees were wet, it was only a minor discomfort rather than ruining my day. If you don’t live near a Decathlon store, pick up something like this instead. To organise my clothes on the Camino Frances, I used this Hoboroll stuff sack. It had five compartments inside, which I used to separate clean and dirty items, and compression straps to reduce the amount of space my clothes took up. Without it, I likely wouldn’t have been able to fit everything into my 30-litre pack. Once I stepped up to a 40-litre pack for the Camino Portuguese, I didn’t need the stuff sack any more. If you’re short on room, though, you’ll appreciate the space savings it brings. I'd never worn a poncho like this before, but it kept me and my pack completely dry from neck to knees even in heavy rain. This stuff sack was vital for fitting everything into a 30 litre pack, but I didn't need it once I'd swapped to a 40 litre version. 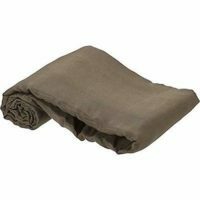 While most albergues will provide disposable or washable sheets and pillow cases, and some offer scratchy wool blankets as well, you’ll need to carry some bedding of your own for warmth and comfort. There’s a lot of talk about bed bugs on the Camino, so I treated my liner, sleeping bag and the outside of my backpack with a permethrin-like spray recommended by a pharmacist in Madrid before I left. It did the job, since I got very few bites during the night, and none were from bed bugs. My silk liner is the oldest piece of travel gear I own. I must have had it for at least fifteen years, but it’s still going strong. I lost the proper bag for it years ago, but a ziploc also works fine. I took it both to discourage bed bugs and mosquitos from biting me, since they don’t like silk, and to provide an option for hot dorms when my sleeping bag was too warm. I used every day it for the first week or so, as nights were very hot. As I got closer to both the Atlantic and the end of September, the weather cooled and I used my sleeping bag instead — but I put the liner inside it when staying in dodgy albergues, to help ward off those bugs. Quality silk liners aren’t cheap, but they’re a worthwhile investment, especially if you’re walking the Camino in late spring, summer or early autumn. When the time eventually comes to replace mine, it’ll be with one like this. Given its size, I was unsure whether to take a sleeping bag. In the end I decided to, and was happy I did. Even though I had good weather, nights were chilly in the last half of my Camino. I could have probably got by using those scratchy wool blankets and sleeping in my clothes if necessary, but it would have still made for some cold, uncomfortable nights. My model from Decathlon was marked as being comfortable down to ten degrees Celsius (50F), and bearable down to 5C (41F). 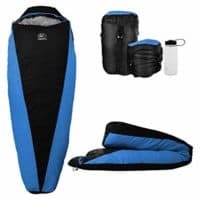 That was ideal for sleeping in albergues in September in northern Spain, so I’d suggest picking up something with similar specifications that’s as small and light as possible. I’m still in two minds as to what the hardest part of the Camino was — walking 25+ kilometres every day for a month, or dealing with the snorers, farters, and early risers in the albergues every night. Something to block out light and sound was vital if I wanted to get any sleep. I always travel with earplugs like these, but as they were getting old, I made the mistake of buying new ones from a pharmacy in Spain before I left. The previous ones came from a hardware store and worked great, but neither the silicone nor foam ones from the pharmacy blocked out anywhere near enough noise. The end result? Several sleepless nights when the snorers were out in force. Lesson learned: take several pairs of the best earplugs you can find, and test them out first. 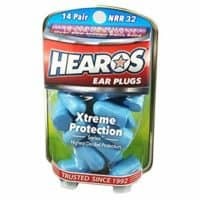 I’d suggest steering away from those aimed at travelers — check out earplugs designed for heavy machinery and air shows instead! I took much better ones on the Camino Portuguese, and unsurprisingly, got noticeably more sleep most nights as a result. 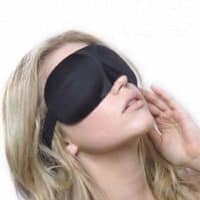 I didn’t wear my eye mask every night, but kept it to hand to deal with people who insisted on turning the light on when everyone else was asleep. I got mine from an airline toiletry pack years ago, but they’re cheap to buy if you don’t already have one. Bedbugs can be a concern on the Camino. I sprayed my pack and bedding with a Permethrin-like spray before I left. 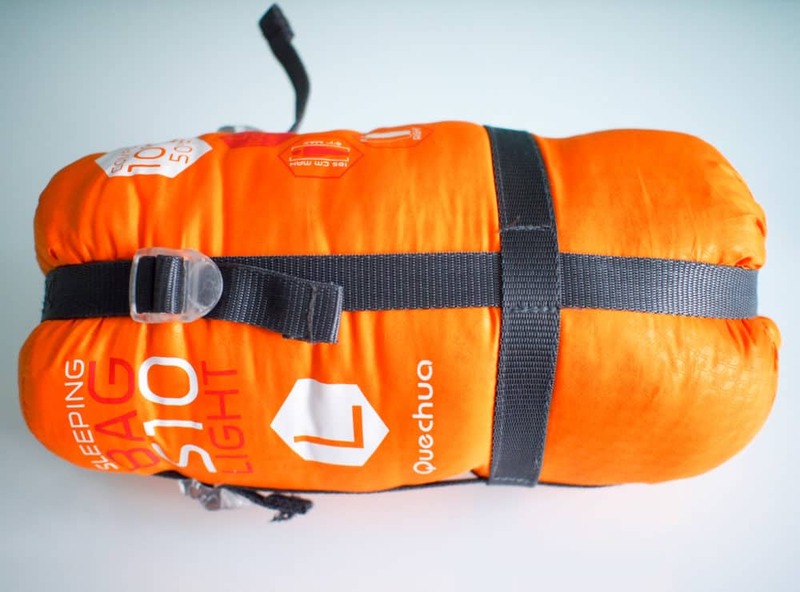 A lightweight silk liner is much more comfortable than a sleeping bag or blankets on hot nights, and gives extra warmth when things turn colder. 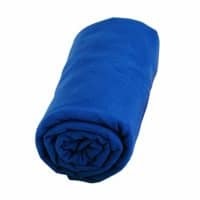 I carried a lightweight sleeping bag like this, which provided more than enough warmth even on chilly autumn (fall) nights. I'm a light sleeper, and snorers in albergues are a real problem. For me, at least, ear plugs are essential. I wore an eye mask whenever people insisted on turning on the lights or shining flashlights around while everyone else was sleeping. 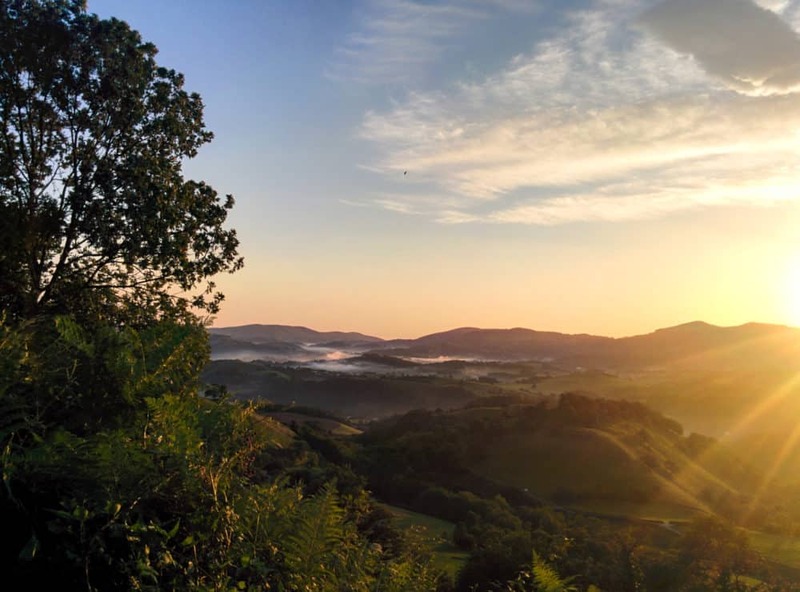 As you’re rarely more than a few kilometres from the nearest town on either the Camino Frances or Camino Portuguese, there’s no need to carry much in the way of food. On the odd occasion I knew there’d be more a few hours without somewhere to eat, I’d just ask a bar owner to make me a bocadillo (baugette/sandwich) to take away before setting out. Breakfasts and dinners were sometimes available at albergues, but most of my meals were in bars, cafes, and restaurants along the way. I found something to eat in all but the smallest villages, even on Sundays when much of Spain and Portugal closes. There was clean water in public fountains in almost every town and village, and bar and cafe owners were always happy to refill my bottle after I’d had food or a drink there. This one litre, indestructible Camelbak water bottle was almost perfect for a walk like this. Its physical size sometimes made it hard to fit in a hand basin to refill, and the large mouth meant I needed to stop to take a drink if I didn’t want water all over my face, but they were both minor issues. A couple of weeks into the Frances route, I managed to leave it behind outside a cafe (just before a 10km stretch with no towns or water, obviously). I bought a normal one-litre plastic bottle of water to replace it for the rest of my Camino. Before starting the Portuguese route, I bought a Camelbak Chute instead, which I liked even more. 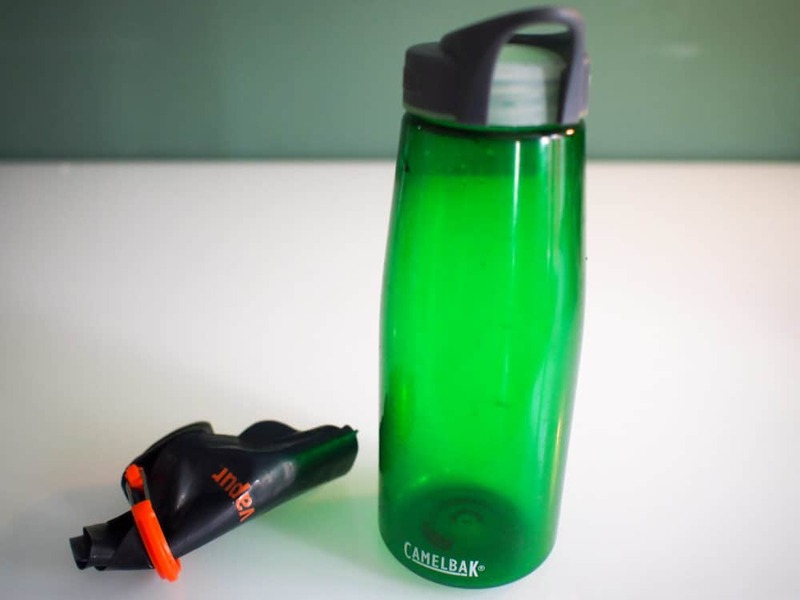 The narrow mouthpiece was much easier to drink from while on the move, but I could still unscrew the entire lid when the bottle needed cleaning. I had this tiny roll-up water container as a backup, which held 700mls when unfurled. With the cooling weather and short distances between towns most days, I only used it a few times, mainly in the early part of both walks. I would have used it far more in summer, but it took up so little room when rolled to make it worth taking regardless. I took a six-pack of snack bars on both Caminos, so I’d always have something to eat if necessary, and didn’t finish the pack on either of them. They were worth taking, but I think that says something about just how easy it is to find food on both the Frances and Portuguese routes. 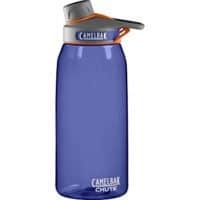 The Chute is the better of the two Camelbak water bottles I've used on the Camino, easy to fill and drink from, and almost indestructible. I only used this roll-up container a few times, to carry extra water on long, hot days, but it was worth the small amount of extra space in my pack. There’s no shortage of pharmacies along both the Frances and Portuguese routes, even in very small towns. As a result, I carried what I considered the bare minimum of first-aid equipment, knowing I’d be able to buy anything else I needed. I used everything I had, to the point where I bought replacements for a couple of things when they ran out, but didn’t need anything extra. 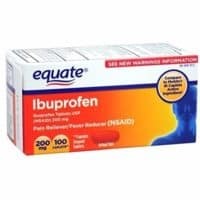 I took a pack of ten 500mg Ibuprofen tablets in case of swelling or blisters, and used three of them, typically after a day of long, rocky downhill sections. 500mg is a standard strength in Spain, but higher than you’ll find in many other countries, so take a few more tablets with you if that’s the case in your part of the world. 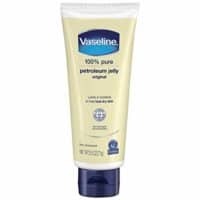 I used the vaseline for blister protection during the first ten days of my walk, coating my soles, heels and between my toes every morning. Once my feet hardened up sufficiently, I stopped doing that… and used it to deal with minor chafing on my inner thighs instead. A single tube lasted a couple of weeks, so I replaced it around the halfway mark. 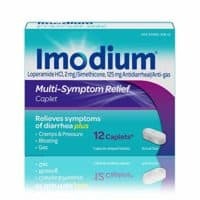 Just in case something I ate or drank disagreed with me, I took a few tabs of Imodium to help me get to the next town. Thankfully, I didn’t need to use it. I picked up this multi-purpose ointment in Australia a couple of years ago. 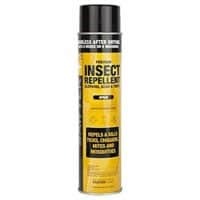 It’s a combination antiseptic and pain relief, meant for treating insect bites, minor wounds, and blisters. I put it on my blister now and then, but that was all I needed it for. Bandaids were handy for both the occasional cut I picked up, and putting over blisters. I took a few medium and large sized waterproof ones — the waterproofing didn’t work all that well, but they were otherwise fine. I ran out in the final week, and just bought more from a pharmacy. As gross as it sounds, I used the safety pin to pop my blister after a few days. There are many theories about the best way of treating blisters — I opted for leaving mine for a while since it wasn’t very painful, before eventually popping it, covering it in antiseptic ointment and putting a bandaid on it. To sterilise the pin beforehand, I used the hand sanitizer I already had. 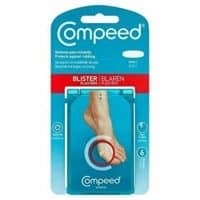 There’s a lot of talk about using Compeed, a “second skin” product, for blister treatment on the Camino. As it’s readily available in pharmacies in Spain, I decided to use some cheaper bandaid-type things with an embedded gel patch that I already had, and buy Compeed if I needed it. In the end I didn’t, but many other blister sufferers swore by it. 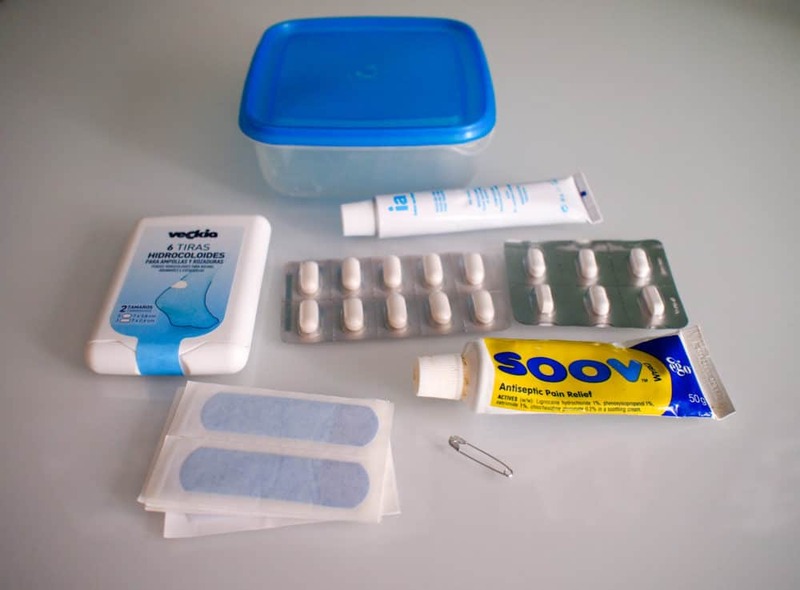 The plastic container is the same one I use for my slightly more comprehensive first aid kit while travelling. It used to live in my kitchen drawer, back when I had a house. Inflamed knees and other joints is an inevitable part of walking long distances for weeks on end. Ibuprofen helps a lot. I used Vaseline to help protect my feet in the early parts of the walk, and deal with minor chafing towards the end. Imodium is always part of my travel and hiking first aid kit, in case something I eat or drink really disagrees with me. Band-aids are vital for everything from covering blisters to dealing with the inevitable minor cuts and scratches. 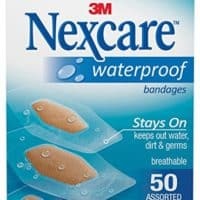 I was fortunate enough not to need Compeed blister plasters, but dozens of other walkers swore by them. Like everything else, I tried to keep toiletries to a minimum while still remaining reasonably clean and un-stinky. I bought a travel-sized container of shower gel, which amazingly lasted me the entire walk. Several of the albergues provided some, and the gel I took was also quite thick, which helped me use less. I had a shaved head (at least when I started out), so I used it as shampoo as well. The following year, I opted for Lush body soap instead, stored inside a little metal container the company sells for the purpose. I’m still undecided as to which I prefer — the soap lasts much longer, but I can’t really use it as shampoo, and it doesn’t lather as well as the gel. I guess both achieved their purpose, which was making me smell less bad. 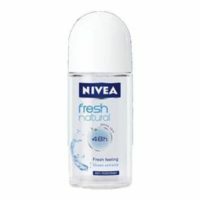 In my experience, roll-on deodorant is smaller and lasts longer than spray or stick, so that’s what I took. It lasted the whole walk, but only just. I bought a standard toothbrush, with a little plastic cover to make it slightly less gross in my toiletry bag. The toothpaste had a screw-on lid, so it wouldn’t go everywhere in my bag. I took a small container of hand sanitizer in case of dodgy toilets and dirty hands. I saw some people using it before every meal, but I only took it out half a dozen times. It was useful for sterilizing my safety pin, mind you. 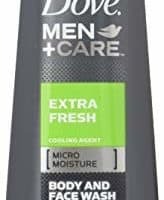 I used a travel-sized shower gel to wash my body and hair, and it worked fine. If you have long hair, you may want to take shampoo as well. Roll-on deodorant is smaller than spray or stick versions, so that's what I used. 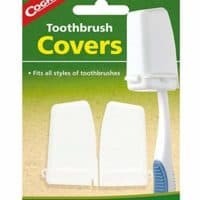 I kept my toothbrush inside one of these little plastic covers, to make it slightly less gross in my toilet bag. 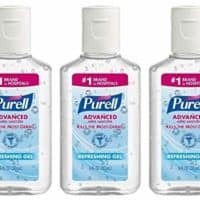 Hand sanitizer was useful for everything from cleaning my hands when there wasn't water nearby, to sterilizing a safety pin. Hand-washing clothes was part of my routine most days. 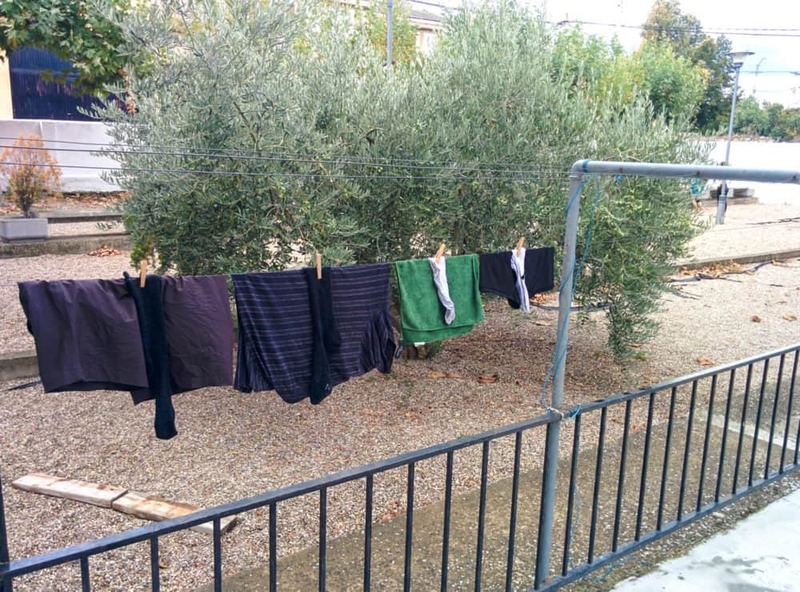 Although many albergues had washing machines, I used them sparingly — there was no real need to spend 3-5 euros a day to wash one change of clothes. I used Dr Beckmann travel wash, and it worked well. I should have bought two containers, though. A replacement was hard to find once I was walking, and I had to buy a larger, less-effective powdered version when the liquid ran out. The sunscreen I took was small, light, and had an SPF of 50, so I never got burned even when I was out in the sun for ten hours. It was also super-thick, which meant one tiny bottle lasted me the entire walk. I didn’t plan to shave on the Camino, but took a razor just in case my beard got too itchy. It didn’t. 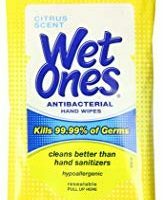 On the Frances, I threw in a pack of wet wipes to deal with things like cleaning my hands and face, mopping up spills and if really necessary, to use as toilet paper. I only ended up using two wipes on the entire walk, so couldn’t justify taking them the following year. My existing toiletry bag was pretty battered, but fine for the Camino Frances. It fell apart a few months later, so I replaced it with the Deuter Wash Center, which worked well the following year. Almost any type would do, as long as it has a fabric loop or plastic hook to hang it up in albergue showers. Having a hook on the bag was useful, as I often needed to hang it over the cubicle door to keep it off the floor. 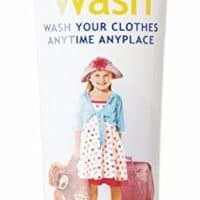 This travel laundry soap did a good job of cleaning my clothes and making them smell better after a day's walking. No mean feat. 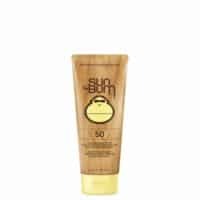 I found an SPF50 sunscreen prevented sunburn even after hours in the sun, and was thick enough that I didn't need to use much each day. Wet wipes are useful for cleaning hands and in a pinch, as toilet paper. I don't view them as a necessity, but you'll probably use one or two. I replaced my old, battered toiletry bag with this model, and it held up well. The hook on the top was particularly useful for showers without shelves. 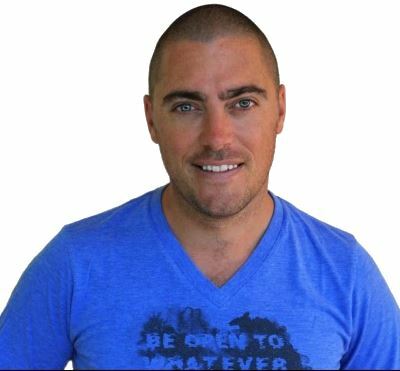 When it came to tech, I wanted to take as little as possible, both to remain in the moment, and to keep the weight down. Here’s how it worked out. 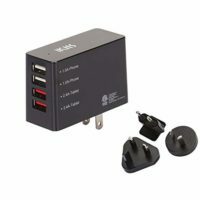 This multi-USB charger made me pretty popular in the albergues, especially the ones that didn’t have enough power sockets for everyone (ie, most of them). I could charge up whatever I needed to, and still have a socket or two left over for others to use. I was very glad I took it. On the Camino Frances, I used a fancy Suunto Ambit 3 sport watch to track how far I walked each day, along with my pace and when I started and finished. It was useful for tracking distances, telling the time, and setting an alarm to wake me up each morning, but I didn’t like having to charge it up every day or two. For the Portuguese route, I just took the Fitbit I wear every day anyway. Since it doesn’t use GPS, it’s not as accurate when measuring distances, but was close enough for my needs. It only needs charging once or twice a week, and the vibrating alarm did a good job of waking me up without disturbing everyone else in the dorm. It only needs charging once or twice a week, and the vibrating alarm did a good job of waking me up without disturbing everyone else in the dorm. Even though I was able to find a power socket somewhere in every albergue, I wasn’t always able to leave my phone plugged in long enough to fully charge it. 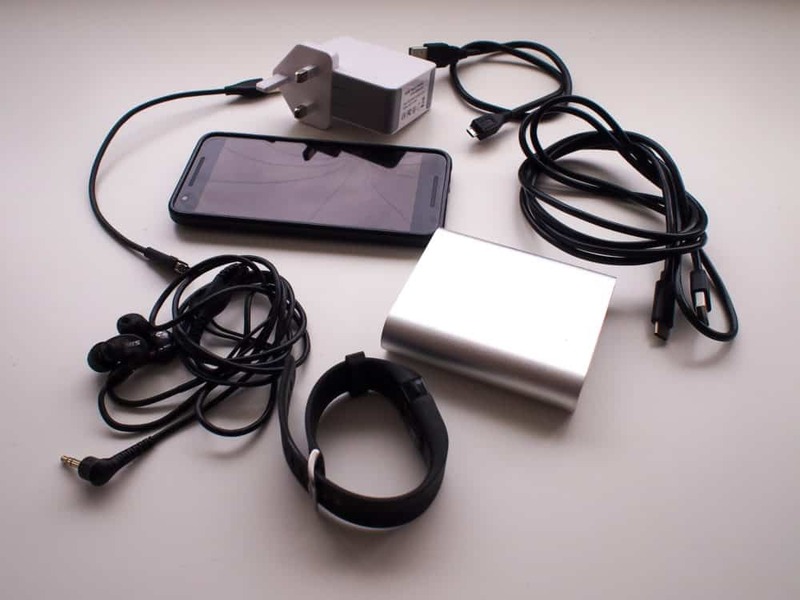 That’s when a small portable battery came in handy, as I could charge my phone overnight or while eating dinner without having to leave it unattended and often out of sight. My phone serves as camera, guidebook, map, and entertainment rolled into one when walking the Camino. I used a Google Nexus 5 when walking the Frances route, and a Nexus 5x on the Portuguese way. I’d been concerned about battery life, but keeping the phone in flight mode whenever I was walking dealt with that easily. The photos I took turned out just fine, and I posted one per day on my Facebook page while walking both routes. I used a Spanish SIM card and data package while in Spain, and a Portuguese one in Portugal, which let me make calls, check maps, etc pretty much anywhere. Surprisingly, there was Wi-fi in about 90% of the albergues I stayed in, along with most bars and cafes. The guidebook app I chose, called simply “Camino de Santiago Guide” (Android / iOS), turned out to be excellent for the Camino Frances and Finisterre, especially after the update it got halfway through my walk. It had everything I needed, from distances between towns to services, number of albergue beds in each place, basic maps and points of interest, and was super-easy to use. It also included many new albergues that weren’t listed in the paper books others were carrying, and the short reviews of each albergue were pretty accurate. For three bucks (and no extra weight), I couldn’t have asked for more. Since it sadly doesn’t cover the Portuguese way, I had to find something else to get me to Santiago the following year. I opted for the Wise Pilgrim app, which was ok. I didn’t find it as easy to use or comprehensive as the other one, but it still covered the essentials, and had enough information to get me where I was going with a minimum of fuss. All of the cables worked fine, and having a long USB cable was useful in albergues with sockets halfway up the walls. 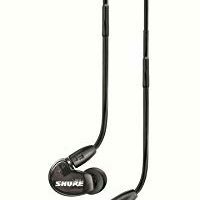 I didn’t expect to use my earphones very often, but they got a regular workout. I’d sometimes lie on my bunk and relax for an hour after a long day’s walking, and it was great to be able to listen to music or a podcast while I did. Especially during the long, flat days on the meseta, if I was walking by myself I’d also put on some music to match my mood — slow and reflective some times, upbeat at others. It made the tiredness and sore feet much easier to ignore, at least for an hour or two! This 4-way USB charger made me very popular in albergues that didn't have enough power sockets for everyone. In other words, most of them. 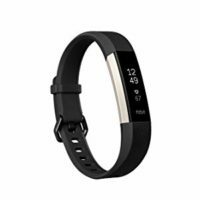 I wear a Fitbit every day anyway, and it was useful for telling the time, setting silent alarms, and measuring approximate distance. 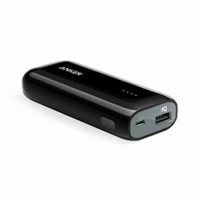 This little portable battery is small and light, and let me charge my phone and other gadgets when power sockets were hard to come by. Having a longer-than-usual USB cable was ideal when charging from power sockets halfway up a wall. From long solo days on the meseta to chill-out time on my bunk at the albergue, I used my earphones more than expected. I tried not to get too carried away with “extras”, as they all took up space and added weight. Here’s what made the cut. It’s very rare to be provided with towels in albergues, so you’ll need to take your own. I saw a few people carrying full-size bath towels, which looked comfortable, but also very large and heavy. 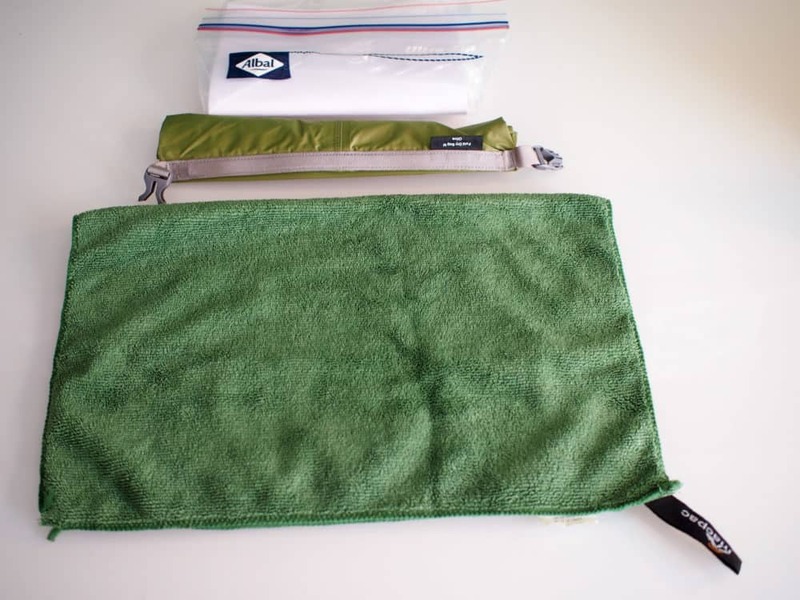 You can get quick-dry microfiber travel towels in various sizes — I opted for the smallest one, about the size of a tea towel. It took a little longer to pat myself dry than normal, but on the upside, the towel dried quickly and took up no room in my backpack. Since I already had a mid-sized dry bag, I took it with me on the Frances. The plan was to use it for my electronics if I got caught in heavy rain, but my poncho kept everything so dry there was no need for it. I could have left it at home, and did so the next year. I took a half-roll of toilet paper in a ziploc bag, in case I got caught short somewhere there was no toilet or paper. In the end, I didn’t need it — but it was comforting to know it was in my bag if required. Much like the dry bag for electronics, I intended to use a garbage bag to line the inside of my backpack if I knew I’d be walking in the rain all day. As it turned out, my poncho kept everything dry even after hours of rain, so I didn’t use it. It didn’t make the cut the following year. 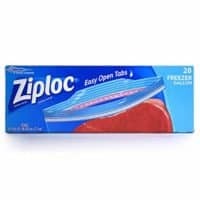 I bought a pack of medium sized (3 litre) ziploc bags before I left, to store things like my snacks, pilgrim credential and passport. Since I had a few left over, I took them with me. I used one to store some laundry powder after my liquid version ran out, and gave a couple away to other people who needed them. 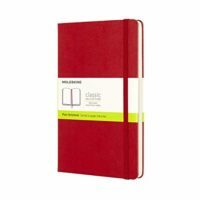 I had a Moleskine journal already, and took it and a couple of pens along to record the trip. Surprisingly for me, I even managed to do so. Rather than buying a fancy clothesline from an outdoor store, I found a place that sold climbing and other rope by length, and bought a couple of metres. 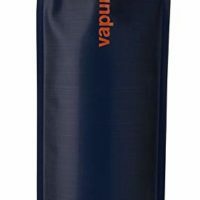 I used it to hang damp clothes off my pack while walking, as well as to make an impromptu clothesline at night or on wet days. It worked well and took up no room in my bag. I also picked up some wooden pegs, which I used almost every day. Most lines and drying racks at albergues didn’t have enough pegs for everyone, and windy days could easily have seen my clothes disappearing over the fence. 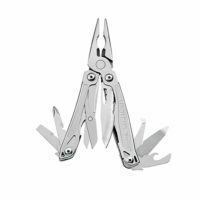 I’ve travelled with a little Leatherman Kick for years, and it’s been very handy. On the Camino, though, I only used it occasionally — to chop up fruit, cut a large bandaid down to size, and open a bottle. The pliers and screwdrivers weren’t needed. Unfortunately, this model doesn’t exist any more — the Wingman is probably the closest equivalent. Finally, don’t forget travel insurance. While it’s not technically something to pack, it’s still something to buy before you start your Camino, so I’ll include it here. Accidents, injuries, and illnesses can happen on any long walk, and the cost of everything from medical bills to replacement flights can seriously mount up. I’ve been buying World Nomads policies for over a decade, including for both the Frances and Portuguese Ways. I went for the smallest quick-dry towel I could find, to minimize the space it took up in my bag. 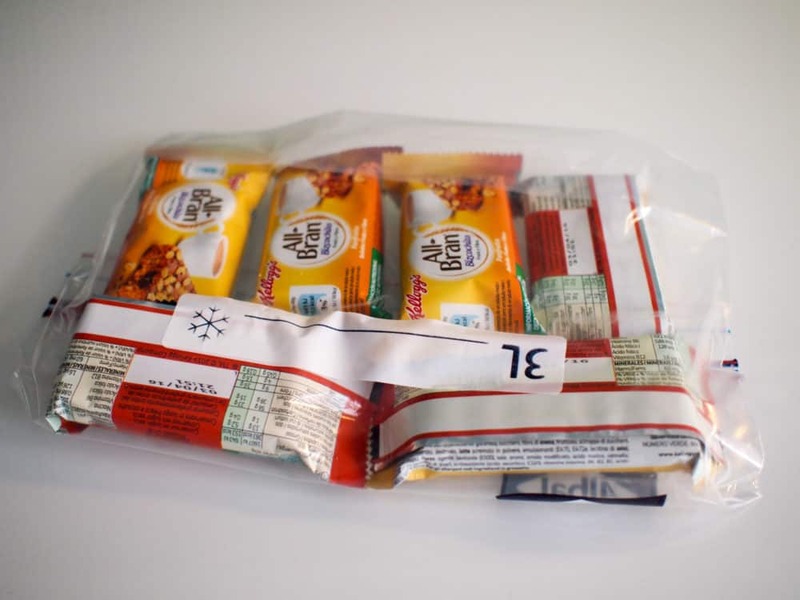 A few ziploc bags are useful for all kinds of things, from protecting your passport and electronics from the rain to carrying snacks. I used this notebook for keeping a daily diary of the walk. The hard cover helped protect it in my bag. I only used the knife and bottle opener parts of my multi-tool, but it was still useful to have. As it turned out, there were only a couple of things that I didn’t take but kinda wish I had. The Camino is a great excuse to leave your normal life behind for a month or two, and that included material possessions. I own a small sewing kit, but couldn’t find it before I left. While it wouldn’t have had a hope of repairing the massive tear in my original pair of shorts, it could have patched up the hole that materialised 600km later in the replacement pair. Then again, the guy I was walking with that day offered to sew them up for me (thanks Wayne! ), so maybe I didn’t really need that sewing kit at all. I figured I’d be able to get away with just using the Kindle app on my phone instead of taking the physical device, and that’s what I did on the Frances. It worked, but the problem wasn’t the actual reading of books, it was the difficulty of keeping my phone charged while doing so. Since power sockets were rare and usually nowhere near my bed, if I wanted to charge and read at the same time, I had to sit or stand beside the wall somewhere else in the dorm room, or out in the corridor. I’d much rather have been lying on the grass outside with a Kindle or physical book, thanks all the same. It wasn’t a show-stopper, but I decided to find room for the physical Kindle when walking the Portuguese route, and was glad I did. Having the Paperwhite model also meant I could read after the lights had been turned out, but still dim the screen enough that it didn’t annoy anybody else. I could have done with this when I ripped a hole in my second pair of shorts. The hole in the first pair was far beyond repair. I made do with reading on my phone for my first Camino, but it wasn't great for several reasons. 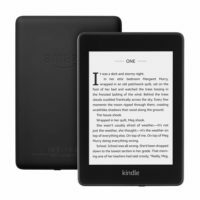 The Kindle came along the following year. I’m not going to go into every possible thing I could have taken but chose not to — this post is long enough already — but there are three items worth mentioning. Walking poles were everywhere along the Camino, everything from a straight tree branch to high-tech, lightweight metal versions. It seemed like at least half the other walkers carried one, but I decided not to. I’d never used them while hiking in the past, and figured that like many other things, I could pick them up easily enough if the need arose. For me, on the Frances route, it never did. There were a few times I wouldn’t have minded having one, all on steep downhill sections, but for me, they didn’t justify carrying a stick in one or both hands for nearly 900 km. Listening to the tapping of other people’s poles on hard surfaces was irritating enough, so I definitely didn’t need to listen to my own. Due to a niggling knee injury the following year, though, I did take a single collapsible pole with me on the Camino Portuguese. It stayed attached to my backpack most of the time, but it was mildly helpful on a couple of steep sections. I’d consider it for future walks. I debated long and hard with myself about taking my camera, and in the end I’m pleased I didn’t. Although the camera on my phone wasn’t as good, it was fine for the daytime landscape shots I was mostly taking. My Olympus Micro Four Thirds camera isn’t particularly large, but it’s too big to fit in a pocket, which meant there was no good way to keep it accessible without buying yet more dedicated gear. Add to that the extra weight of the charger and cable, and it wasn’t worth it. If I owned something like the Sony RX 100 VI — a small point-and-shoot that takes exceptional shots and charges via USB — I’d likely have taken it with me. Anything bigger, however? I couldn’t justify it. There are many guidebooks to the Frances, but among English speakers, the most popular is Brierley’s A Pilgrim’s Guide to the Camino de Santiago. I considered buying it for a while, but instead opted for the app mentioned above. That turned out to be a good choice, for many reasons. Firstly, I didn’t need to spend $19 and carry a heavy book with me. Secondly, the app was much more up to date than even the most recent version of Brierley’s guide, and received a substantial update halfway through my walk. Finally, and most importantly, not having the same guide as everyone else was very freeing. The book breaks the Camino Frances up into 33 daily sections, and many people choose to follow those recommendations to the letter. As a result, some of the smaller villages and albergues fill up quickly, as everyone on ‘the Brierley route’ stops in the same place. The app didn’t do this, leaving it to me to decide how far I wanted to walk each day based on the terrain, weather, energy levels, and wherever I liked the look of. It felt very liberating to sit in a bar at night, watching others spend hours poring over their book and calling ahead to book accommodation for the next day, knowing I’d just figure it out as I went along instead. Not needing to plan or book ahead was one of the most enjoyable aspects of the walk for me. So, 53 days and 1333 kilometres later, what did I learn about the gear I did and didn’t take on my Caminos? In short, I discovered something I probably knew all along: less is more. Beyond a bare minimum of stuff, the smaller and lighter your backpack is, the more enjoyable your walk will be. Climbing up and down mountains or hiking 40km in the sun is much easier when you’ve only got a few kilos on your back. With the next town or village never more than half a day away, almost anything you want can be purchased when and if you need it — take smaller amounts of the “essentials”, and leave all the “maybes” at home. I also realised that you don’t need huge amounts of dedicated technical gear, or to spend large sums of money on what you’re carrying. I already owned most of the clothing and equipment I took with me, and didn’t spend much on the extras. Even so, the gear always held up, and I completed both Caminos at a reasonably fast pace, with my only injuries being a blister and minor chafing. Most importantly, I had an incredible time doing it. So, the final word. Do your research, pick your equipment and buy whatever you need, but don’t obsess over it, and know you don’t need to look like a walking REI catalogue to finish and enjoy your Camino experience. The less gear you carry, the happier you’ll be, and every dollar or two you save on it will pay for another glass of wine at the end of a long day on the trail. If you’ve got any comments or questions about the best gear for walking the Camino de Santiago, leave them below — I’m happy to answer anything I can. Want to know more about my Camino experiences? Read my thoughts on the Camino Frances, or check out my Camino Portuguese guide. 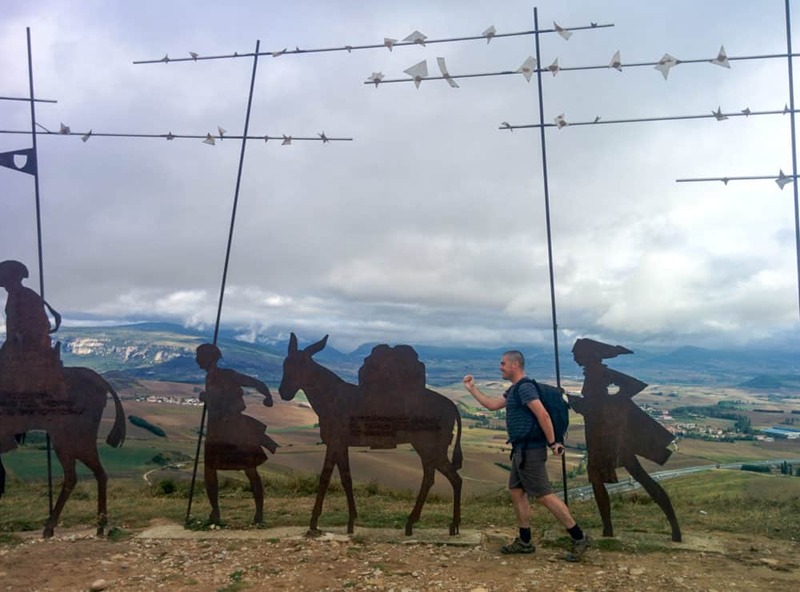 I have no intention of walking the Camino, but this thorough post is very helpful even for general travel. Thanks for taking the time to detail your travel gear, Dave. Time and pneumonia cut my 2014 (mid-sept to early oct) camino short in Burgos, but will be continuing this next April. 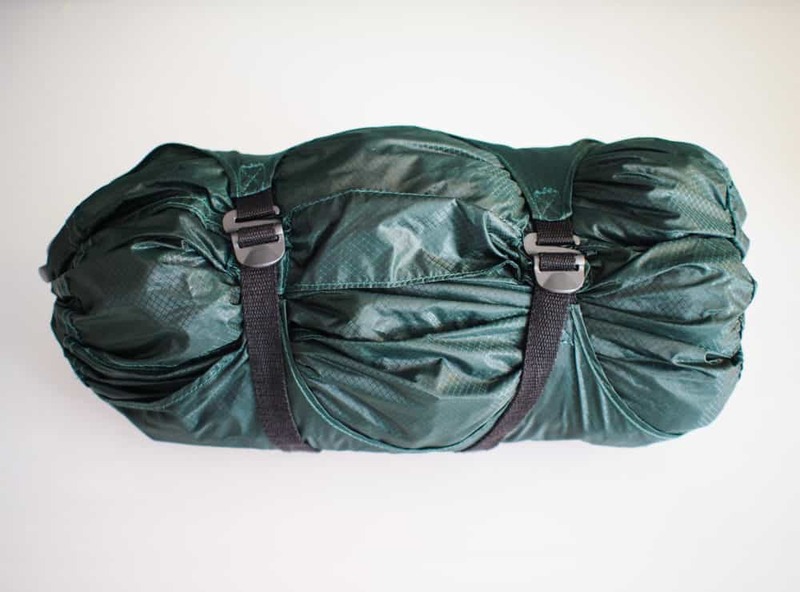 I just read your Hoboroll vs packing cubes. Last time i used Eagle Specter cubes, next time I’ll just use the shove it method. I, like you found the cubes to waste space and I watched many a traveler using the shove it method of packing able to pack a lot more in a lot less space!! Only things to be cubed this time will be bathroom/first aid bag and a few charging cables!! How much did you spend during the actual walk…if you don’t mind me asking. I really want to do the walk in 2017 so any money info will be great. Thanks and by the way, great article, very useful! I actually tracked my costs during the walk, so I can tell you I spent an average of around 37 euros per day. That was staying in albergues all except two nights (my birthday in Burgos, and the night I arrived in Santiago), where I stayed in hotels. Hope it helps! Also, was anyone sleeping is tents? The albergues are around 15 euros per night, right? Some people do sleep in tents, especially couples, families and those on super-tight budgets. Most people don’t want to carry the weight of a tent, bedroll and heavier sleeping bag, so they don’t bother. 15 euros is at the higher end of albergue pricing — you’re normally looking at between 5-10 euros a night in places run by religious orders or municipalities, and 10-15 for private ones. There are also some donativo albergues, where you pay what the stay was worth to you. Some places include breakfast and/or dinner. I’m already planning to walk a different Camino route next year — I miss it already! My average nightly accommodation cost was probably slightly more than 10 euros, since there were a couple of hotels in there as well, and there were other costs like laundry etc. Food was a greater expense for sure, though – at least three meals a day, often more, plus a couple of coffees, maybe a soft drink, a couple of wines with dinner etc. Eating on the Camino isn’t particularly expensive compared to elsewhere in the world, but you burn a lot of calories and need to replace them, so it all adds up. You could definitely do it cheaper by self-catering, though,if you wanted to. Dave – Very helpful advice. I’m planning to do the Camino Frances this time next year, and picked up quite a few pointers from your article . You didn’t mention wearing a jacket. Was the long sleeved top enough? I usually prefer to carry stuff in jacket and shirt pockets rather than in my shorts or long pants. Thanks for stopping by. I didn’t bother with a jacket — I don’t really own anything that would have been appropriate, and in the end the long-sleeved top was enough. There were only a couple of especially cold mornings where I needed a second t-shirt underneath until the sun rose, and the rest of the time I tended to be too warm if anything. You could take a jacket if you prefer, of course, and if you’re starting before May or after September, it’s probably not a bad idea. The only thing I kept on my person as I walked was my phone for taking photos and checking the guidebook app — everything else was in my pack, as I didn’t need to access it very often during the day. Congratulations Dave on completing the Camino and for sharing your experience with others. This has been extremely informative. I just came back from shopping for a backpack and they clerk was trying to sell me a 60L which I’m glad I didn’t buy. 30L seems more appropriate and your reasons are worth taking into consideration. I can’t wait for my Camino in the spring of 2017. Time is booked off and training has begun. All the best on your next one! I would have probably skipped the H&M tees and worn some Under Armour charges cotton tees instead. And more Under Armour underwear instead of the Champion. Or maybe some Nike Dryfit. Wow, that’s a spectacular list! I agree about the t-shirts, go quick-drying over cotton. They are super cheap to buy in Decathlon if you don’t have them already. Thank you so much for this detailed packing list Dave! i really want to do the camino at somepoint in the future, I just need to find the time and money! Do you think 1000 euros would be enough to travel the full camino? No problem! I think you could walk the full Camino Frances route on about 1000 euros, yup, as long as you weren’t going too slowly. 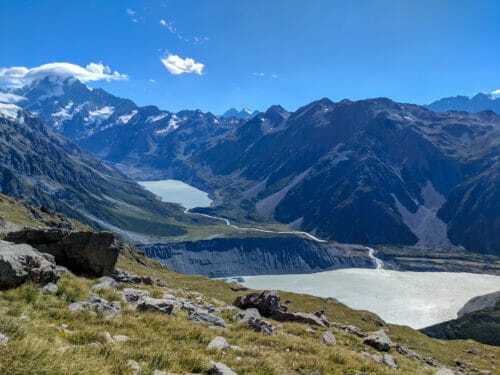 As mentioned, I spent an average of 37 euros per day, and walked for 34 days — but that included a rest day in Santiago and three extra days to Finisterre. I lost around 5-7kg (not totally sure, as I didn’t have scales to weigh myself at the start). It would have been more with a few less bocadillos, that’s for sure! 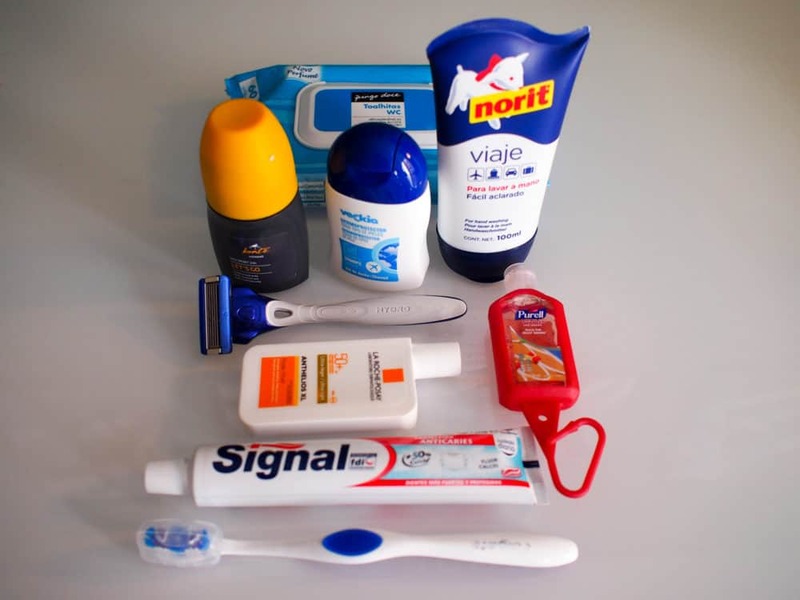 Great packing guide for the Camino de Santiago. Though if you took a compact amount of gear, it makes me wonder what the overpackers were taking with them! Congratulations on doing the Camino! 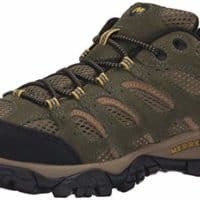 I love the Merrell hiking shoes even for the day hiking that we do. They are more comfortable than any of the many other hiking boots I’ve owned over the years. Thanks for sharing all the info. I’ve been reading about other traveler’s experiences completing the Camino and they all say it’s a life-changing experience. Maybe someday I will try it as well and this comprehensive list that you put together will ceratinly be very helpful. Thank you for sharing your tips. Dude, my Nexus does the same thing. Then sorts itself out after a day. Annoying as hell though. 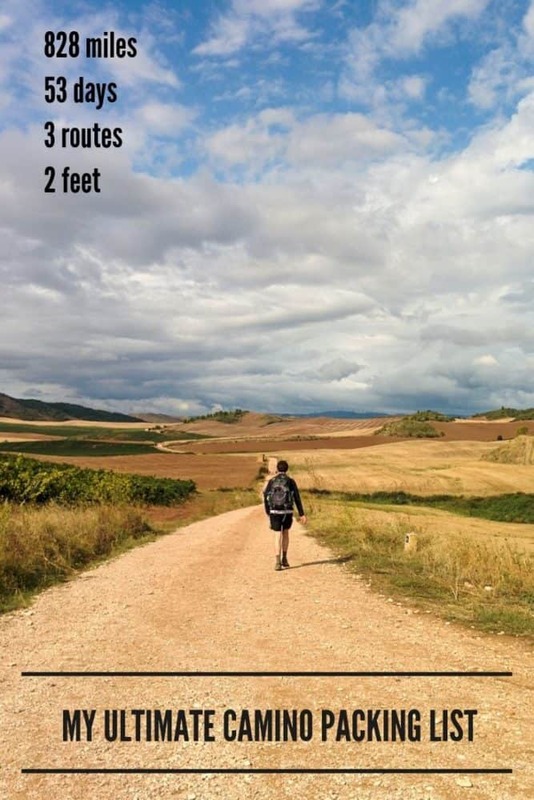 I’ll be doing half the Camino this year, this was super helpful! Yeah, seriously annoying — it’s my only real gripe with the Nexus 5, actually, but it hasn’t done it again since. I am so interested in doing the pilgrimage! Thank you for an excellent, detailed and candid account of your packing list! I’m doing the Camino Frances through the whole of September 2016 and my list was my biggest worry, but you’ve put my mind at ease. Great points especially about the tech to bring (I’ve ordered the Suunto Ambit3 Sports watch from Amazon UK) and the sleeping bag. I’ll definitely be investing in a silk liner. I did the Camino in September/October last year. It certainly was the most profound and amazing time of my life. 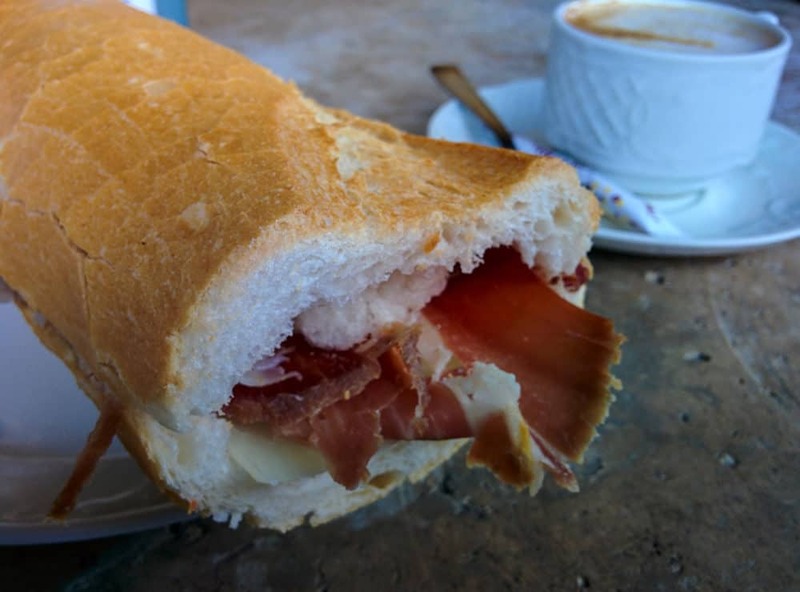 On typical days I didn’t spend as much as breakfast was tortilla patata and lunch bread/cheese/ham from little shops. Only expense was coffee, evening meal and obviously much vino! I found the 4-5am starts very cold, maybe as I started 20th Sept so I took one complete outfit and one spare but also took merino thermals and a pair of gloves. The thermals doubled as pj’s, were great under shorts in the early morning and lightweight. You are so right less is definitely more when your walking for weeks on end. When I do it again I will send a small pampering pack onto santiago. Oh what I would have given on my arrival for something different to wear and lovely smelling soap! You’re welcome, Debbie! Yeah, I definitely wasn’t skimping on the food budget — I had second breakfast most days, plus lunch, dinner and an extra cafe con leche here or there as well. Some days the food costs definitely mounted up, but then again, those were the 30+ km days, so I figured that was my body telling me it needed the extra fuel! 😉 A few of the nicer albergues were relatively pricey as well (12-15 euros or so), especially at the start and end — that’s somewhere I could have shaved a few euros off the budget if needed. You’re right about the thermals, especially starting a month later and also being on the trail that early in the morning — it was chilly enough for me at 6am in early October! I’d have definitely had some gloves and a beanie if I was walking much later in the season, and probably something warmer for my legs as well. And yep, absolutely agree about the pamper pack at the end — I would have really liked a nice set of freshly-laundered clothes to be waiting for me at the final albergue… ones that I hadn’t been wearing every other day for the last month! Just finished reading your “packing list” and it was really helpful. I am a 65 yr. old male, in semi-decent shape, I’ll be doing the Camino Frances August 27, 2016 from SJPP. I started training mid-April by walking, b/t 6-10 miles every other day . Hopefully, beginning first week in August, I will try to walk everyday for 8-10 days in various terrains to sort of duplicate a “mini” Camino. Question: Is this sufficient training of should I be concentrating on something else? If you’ve been walking 6-10 miles every other day for the last 3 months, and will up that to a similar distance for 8-10 days straight in August, you’ll have done more training than the majority of your fellow walkers. 🙂 Obviously I’m somewhat younger than you, but I did a lot less training than that (a few 10km runs in the six weeks beforehand, plus one 15km walk) and I was fine. The key thing is to take it easy for the first few days, and listen to what your body is telling you. Give yourself plenty of time to walk the entire route (ie, don’t have a tight deadline that forces you to walk long distances each day), and be prepared to have shorter days, or rest days, whenever you need them. That’s especially true in the first 7-10 days as your body is doing most of its adjusting to the new routine. 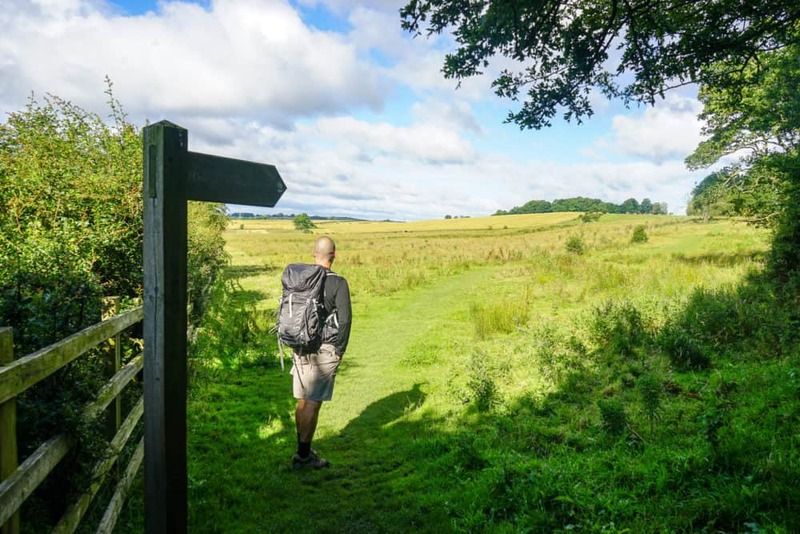 You can always make up a bit of time towards the end if you need to, as you’ll likely be able to walk longer distances than you can at the start. That’s how it worked out for me, anyway. I downloaded this blog early this year when preparing, and this spring (Mar-May 2016) walked the Camino from le Puy. I agree with most of the blog. 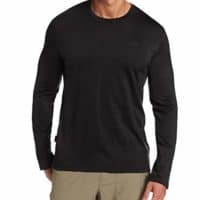 I was fortunate to have worn a merino wool Oxford-style shirt from Wool&Prince which, while expensive (US$120), was warm when it was cold or wet (such as condensation inside poncho), eliminated odors. It was the only shirt I wore for 10 weeks except when it was in the laundry. I could walk without other cover in the dawn coolness. I could even go from the camino to a Michelin-listed restaurant with this. 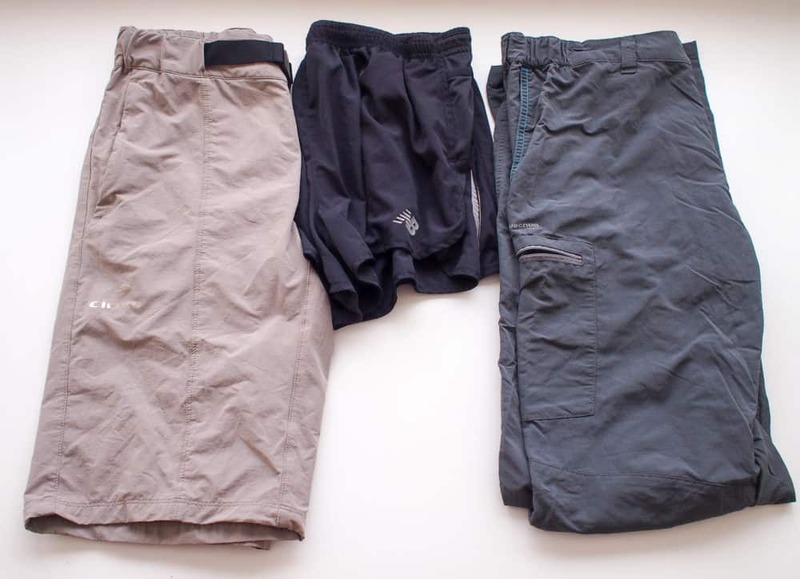 While I carried other clothing, I found no use for short-sleeve shirts (insufficient sun protection) or for shorts, both of which I carried but never wore: either I wore zip-leg trousers for hiking or regular (North Face synthetic) trousers for “street wear” at my daily destination. 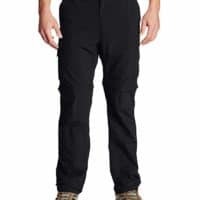 The zip-leg was also useful because much of the trail is muddy, and I could hand-launder the filthy legs at my daily destination without removing the clean trousers. 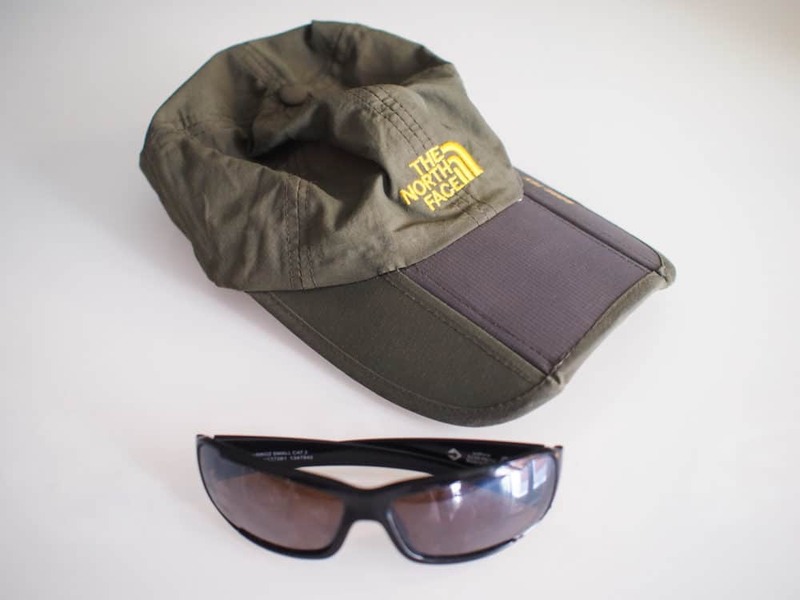 I would not bring a baseball-style cap such as suggested, but a fully brimmed, waterproof hat. My hat served as a sun shade for my face and neck, but more importantly it helped me retain glorious 360 degree visibility when I was wearing a poncho in the rain. I also learned the need for foot care. You have two equally important feet to carry you this distance. I specifically stress (1) lambswool for blisters between toes and (2) moleskin for damage to toes. Both were necessary to me, both were important to other pilgrims I treated and are now friends for life. An afterthought, but an important one not mentioned to date: access to cash. For credit, I chose a chip-and-pin card (most Americans only have access to chip-and-signature, not so useful in France and Spain). For cash access (ATMs), I set up a separate account at a different institution with a card that did not charge more than the 1% FX fee, and put only $1000 in this account. I set it up for web access, so as the balance fell I could replenish it from my main account, which was not at risk if my ATM card were compromised (this did not happen). I enjoyed reading this very much. I am a 43 yo Peruvian living in the US for the past 21 years. I am planning on walking El Camino from SJPP in June 2018. I am planning way ahead of time due to work, kids, dogs, family. How is the weather like at that time of the year? Is it dangerous to do it alone? I haven’t waked it in June, but I’d suggest May/June is a good time of year. The later you leave it, the hotter and busier the Camino will become, so I’d probably choose to start in May if I could. While nothing in life is 100% certain, walking the Camino Frances solo is a very safe activity. Unless you’re walking in winter, there are so many other people doing the same thing that it’s rare to not have someone else in sight. Based on my experience, you’ll only be alone if you want to be — I made friends a couple of hours out of St Jean that I also finished with in Finisterre five weeks later, and met dozens of others along the way that I spent anything from a few hours to weeks walking with. I wrote more about all that side of things here. Dave you’re an inspiration. Thank you for so much info !! I’ve been out spending today on my kit. I’m stressing about getting the correct boots and backpack though. I’ve been fitted but I’m still not sure either are really “comfortable ” enough. I’ve bought 2 pairs of boots and two backpacks to try to decide. I can’t wait but I’m very apprehensive as a solo, female, non hiking traveller !! Even planning the journey to get to SJPP is a bit tricky. I’m travelling from the uk and it seems either 2 flights, a bus and a train OR a coach from my town to Bayonne but I arrive at 4am. It sounds like you’ve got the right idea with the boots and pack. Make sure you’re really happy with both — they’ll become your best friends for a month or so! Getting to St Jean — I came from Madrid, so took a bus to Pamplona, then a bus to St Jean. If you can find a flight that gets you to Pamplona (maybe via Barcelona or Madrid), then it’s straightforward from there. Otherwise, you’ll need to work your way down to the bottom of France, but as you’ve found, it’s not necessarily all that easy or enjoyable! The best list ever, and delivered with a smiley tone 🙂 Thanks! My sister and I are taking 10 days to start the Northern Way, and this entry was very helpful. Peace. Thanks, Dave for the thoughtful and thorough list! My friend and I are planning on walking the last quarter of the Camino next month. I was wondering what your suggestion was for how to store passport, money and phone. I’ve read various opinions about storing all three in a “fanny” pack (don’t like the term), but that seems a bit bulky. Other options seem to include a waist wallet that hides underneath the pants (for security reasons) but seems to be problematic for easy access to i-phone for camera purposes. What are your thoughts? While I was walking, my phone was in my pocket (in airplane mode), and my wallet was in my backpack. When I stopped for the night, I switched my wallet to my pocket (because I’d need to pay for food, drinks etc anyway). At night, my phone and wallet were under my pillow. My passport was in a plastic bag in my backpack at all times. a fabulous list, in fact the best I’ve seen – any thoughts on bed bugs. Is this a real problem? The internet suggests so. I plan going next april and have enough to worry about already without bedbugs!!!! Is it a real problem? Yep, definitely. One of the albergues I’d planned to stay in (on the Camino Portuguese) had been closed due to a bedbug outbreak, and I met a couple of fellow walkers who had some suspicously-bedbug-looking bites on the Frances as well. Is it something to get really concerned about? No, probably not. I’d suggest that if you spray everything, especially your sleeping bag/liner, with a Permethrin spray, ahead of time, and then be careful about (eg) inspecting mattresses and linen that looks dodgy, not putting your backpack onto the beds, etc, you’ve done about as much as you can. Most of the better albergues are more worried about bedbugs than you are, so they do things like have plastic/vinyl-covered mattresses, use disposable pillowcases and mattress covers, etc. For what it’s worth, I haven’t seen or been bitten by any in the two Caminos I’ve done. Thank you so much for this blog and its details. I have “perfected” my list after reading your page. I am planning a Camino trip with a group of friends in May 2018. You have given my very specific tips and I appreciate it. I will certainly keep in mind ordering from Amazon through your page. Haha! In terms of the pack, I’d say go for it with something a bit bigger. I took my 30 liter one because it’s what I already had, but there were definitely some compromises in terms of comfort / where it sat on my back. I picked up a 44 litre Osprey model for my Hadrian’s Wall hike last year, and filled up about two-thirds of it. It was a much more comfortable experience! Great idea about the app instead of bringing the guide book. which one do you recommend? I mentioned it in the Technology section of the post – it was this one. Really good read as is the Hadrian’s wall blog, many thanks. I may have missed it but did you say what your pack weighed altogether? I did, but it’s easy to miss 😀 For both hikes, my pack weighed about 7kg without water. Great check list for me Dave, many thanks. Please excuse my ignorance, but I can’t figure out the name of the app you are recommending? It’s just called “Camino de Santiago Guide”. You’re not the first person who’s struggled to find it, so I’ve changed the text in the post slightly, and linked to both the Android and iOS versions, to see if that makes it clearer. Sounds like you’ve definitely got the right idea! Wow, I’d completely forgotten how cold it could get sometimes. I walked the Camino back in 2015 and this brings back some great memories. I didn’t bring a guide book with me when I did it, but I realized how useful it was finding places. I’ll have to check out that app the next time I decide to camino again :). Quick question – how many kilometers did you average a day if you remember? The list is extremely detailed, wish I had seen something similar back when I was googling around. Anyways, thanks for the read! Buen Camino! I averaged about 25km per day between Saint Jean and Finisterre, which included a rest day in Santiago. Glad you liked the list! Thanks for both blog and list, so helpful. 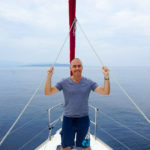 Am planning to do the Portuguese Caminho soon (June) but would like to ask about food – as a vegan, what are my chances of finding things to eat? It is a problem in Portugal generally (except for Lisbon) but if one can shop in grocery stores and supermarkets it is generally OK.
As with the Caminos in Spain, there isn’t really a great deal of awareness of, or catering for, vegetarians, so it’s even harder being a vegan. That said, the Camin(h)o Portuguese does go through quite a few good-sized towns with reasonable supermarkets, and it isn’t particularly long, so as long as you’re happy to carry 2-3 days worth of food and snacks, you should be able to manage with self-catering. If you haven’t already seen it, I wrote up my Portuguese Camino experience here, which includes the route I took. Thank you so much for responding so quickly. Self catering it will have to be. 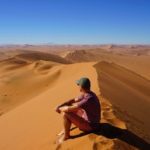 I read your Portuguese Camino piece before looking at your wonderfully detailed list. One more question – did the albergues have kitchens one could use? Again, many thanks for your invaluable advice. Some of the albergues had pretty good kitchens, some had basic facilities, and some had none. It’s something you’ll definitely need to check when working out where you’d like to stay each night. Maybe some of the guidebooks might include that level of detail — I didn’t use anything beyond the app I mentioned in the other post, so I don’t know for sure, unfortunately. You’re more than welcome, Nat! Thanks for the interesting read and all the great info! My wife and I will begin our Camino on August 28th. She has a bee allergy, not life threatening but we always carry an epipen just in case. What are the nasty insects like along the way (mosquitoes, gnats, biting flies, wasps, etc.)? Is repellent necessary or just precautionary? I don’t remember insects being a particular problem, although I did get the occasional bite here and there from unknown bugs. I also don’t remember seeing many wasps, but there’s always a chance, especially in the more remote sections of the trail. I didn’t personally bother with bug spray during the walk, although as I mentioned, I did spray my sleeping bag, liner, and park with permethrin before setting off as a bed bug repellent. Good to know. Thanks! I will probably have a couple more questions for you as we begin our final preparation for this much anticipated trip. Thanks much for this post. A friend and I will do the last 200 km of the Norte route in mid-September. We are using your guidance to prepare for the walk; from shoe selection to the items we plan on packing. Thanks for doing this. I did have one question. Did you take a lot of Euros or rely on a credit card for the walk. I’ve been to Europe a few times and cash-vs-credit preference seems to differ in every EU country. Not sure about Spain. I expect to pay cash in the Auberges but wasn’t sure about restaurants and other stops along the way. Which should we bring – lots of cash or a good credit card? I’d expect to pay cash for almost everything. While you might find cards accepted at some hotels (not albergues) and restaurants in larger towns and cities, that won’t be the case elsewhere. I had about 200 euros in my wallet when I started out, and just withdrew more from an ATM when I started running low. They were pretty common, and it was rare to go more than a day or two without passing one. Watched the film ‘The Way’ with Martin Sheen/Emilio Estevez a few years ago and that piqued my interest at the time. Reached 70 a couple of months ago and now planning to walk the Camino Frances next May. Went out for a walk this morning to break in my new Merrills and ended up doing 16 miles. Found leg muscles I never knew I had! I think I need to shorten the next few walks. Great stuff — and yeah, I enjoyed that movie too. The plot was a bit thin, but the landscapes and background of the Camino itself more than made up for it! Walking 16 miles off the bat in a new pair of shoes is impressive… and if you didn’t get blisters, it sounds like they were a great choice. 🙂 Buen Camino! what did you do at night with all your valuables? just put it at the bottom of sleeping bag? did you lock your bag to your bed in the hostels? My only real valuables were my passport, phone, and wallet — I’d usually just keep them under my pillow/inside my pillow case when I slept, but if the pillow was particularly thin, they’d go at the bottom of my sleeping bag instead. Definitely didn’t lock my bag to anything at night — there’s really no need. If you’re staying in albergues, then everyone else there is walking the same walk you are, knows how important their gear is for comfort and safety, and is highly unlikely to want to steal yours. 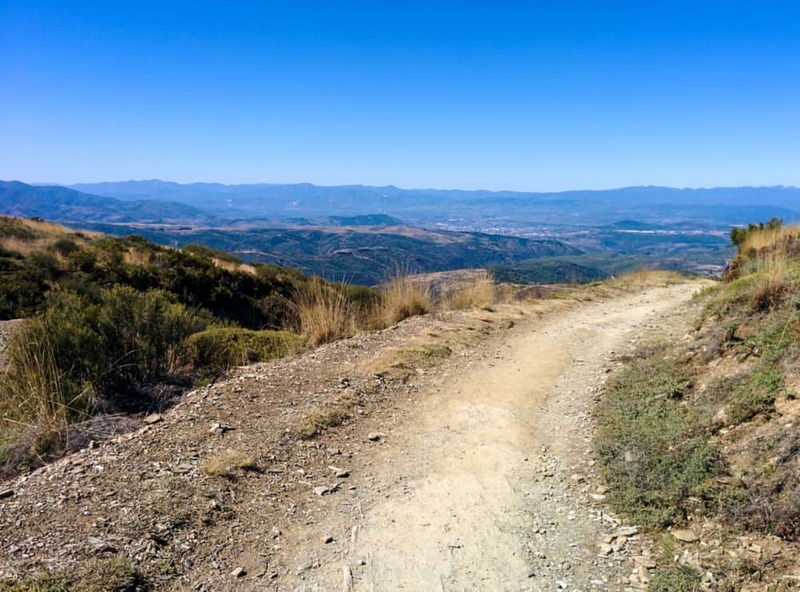 Thefts can happen anywhere, of course, but they’re rare on the Camino — and nobody is going to steal your entire backpack anyway, so there’d be no value in locking it up. Take as few valuables as possible, keep them on your person when you’re awake and under your pillow/in your sleeping bag when you’re asleep, and you should be fine. Some very useful info here, and an interesting blog in general Dave! I also had the same issue with the merino top – worked really well, but eventually got a hole in it from all the putting on/taking off of the backpack. 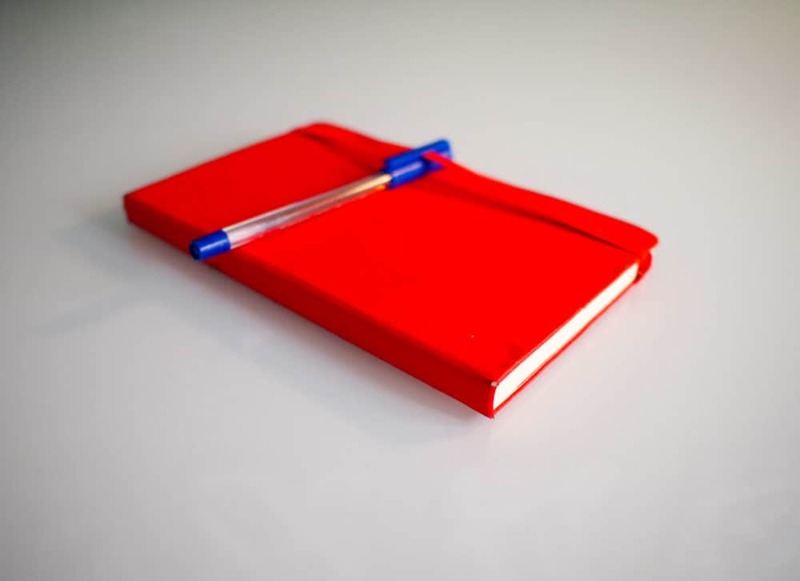 I already had a packing list from doing the Frances but you’ve given me some ideas for things I hadn’t thought of, for when I start the Portuguese from Lisbon in the next week. Can’t wait! Thanks. It was informing, coming from an expert. I am headed that way in about a week and had a question. Question is the guide phone app, “Camino de Santiago Guide”. Does that guide requires you to have a phone network to use or just a WiFi sufficient? I am not planning on getting a SIM there and not sure if the app is still usable. Thanks in advance. If I remember correctly, all the parts of the app that I cared about (distances, information about what facilities were available in each town, albergue descriptions, etc) worked fine without being connected. I think the map needed an Internet connection, but I never used it anyway. My phone was in flight mode whenever I was walking, and I don’t remember having any problems with the app. Thanks for the info. 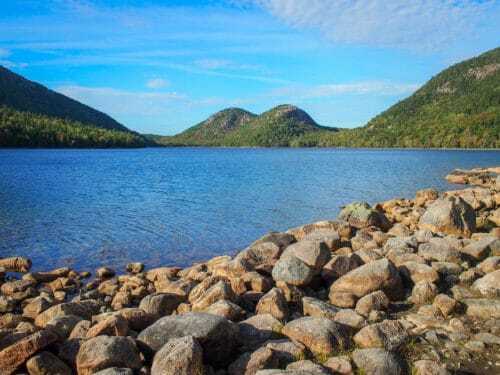 I’m heading out on my walk in May 2019, looking to shake off the last bit of anger from the divorce. Quit my job back in August of last year while I was backpacking in Spain & Morocco when the boss called to ask if I was coming back any time soon. Nah, think I’m gonna stay a few more weeks… I’m in the process of selling everything, house, furniture, car, etc… and having the same idea, to become Caine from the 70’s Kung Fu series. Whatever happens it can’t be worse than the last 20 years. The only thing I’m really in the dark about is the sleeping gear. I have a small travel sleeping bag, so maybe just that and a liner? Seems like maybe I should put the liner on the outside, maybe one of those net/mesh bug bivy? They weigh almost nothing, but I’ve never used one. Maybe I’m overthinking it. For hiking I don’t use underwear. I generally hike in very lightweight running shorts and a pair of lightweight hiking pants over that. I’m in Oregon, so here if I encounter water the shorts can get wet and dry very fast. So gonna stick with that and have 2 dry fit shirts and a very lightweight, long-sleeve w/ built in hood (UV protection) hiking shirt. Legs can get wet, so just lightweight rain jacket which is good for wind as well. I started using a heavy trash bag to line the inside of my pack because I saw it on a youtube video. Then a smaller trash bag for my sleeping bag. Anyway, I saved your site because the first thing I saw was, “I sold everything and gave the finger to the rest of the world…” Maybe it was not quite like that, but that’s what I saw. Happy hiking…. Very interesting reading. I have completed several Caminos and at 71 years I will be completing the second half of the Camino del Norte next month. 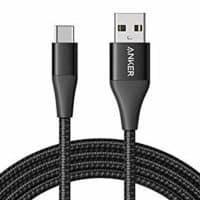 I would like to add a couple of things to your excellent suggestions/recommendations. A walked two long Caminos with blisters. I tried everything possible to treat them, but with little success and extreme pain. I then decided to work at preventing them. With so much previous “experience” I knew that certain toes would develop blisters. I wrapped these with self-adhesive tape from the onset and sure enough it worked. While I still get the occasional blister, I treat it immediately. I do break them with a sterilized needle and then treat the wound with anticeptic cream. I do carry a fanny pack and would not be without one. I access and use all sorts of thing s while walking — water, sunscreen, glasses, phone, money, tissue, pen, credit card, passport, credential — and I particularly like having these items on my person when I remove my backpack at e.g. cafes. An absolute must for me. I wear Salomon waterproof hiking shoes, which are wide in the toe box. 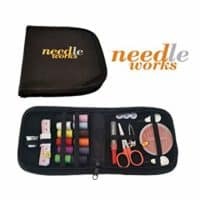 I also bring a needle, thread and a small folding pair of scissors for a multitude of uses. Finally, I do not use a top loading backpack. I would find access to my stuff just too cumbersome, as compared to the front loading type. Finally, I think each person will find what works for them with a few helpful tips from others like you. Hi — totally agree about taping up your toes/feet if you know where you’re likely to get a blister. It definitely helps! I know I’d find a fanny pack too sweaty and cumbersome to wear while hiking for hours, but if it works for you, that’s great. I think it helps that I only really use my phone (for camera, maps, and guidebook) and water bottle while I’m walking, and everything else lives in the top of my pack where it’s still easy to grab while at a cafe or whatever, but isn’t on my person. Interesting comment about the waterproof shoes — what time of year have you tended to walk your Caminos? My feet get too hot and sweaty (and then, blistered) when I wear waterproof hiking shoes on long hikes in hot conditions, but I do like them at other times of year/in other parts of the world. 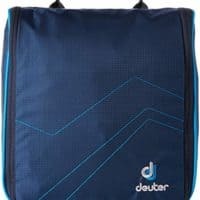 I’ve always used a front-loading backpack for general travel, for exactly the reason you suggest: ease of access to my stuff. 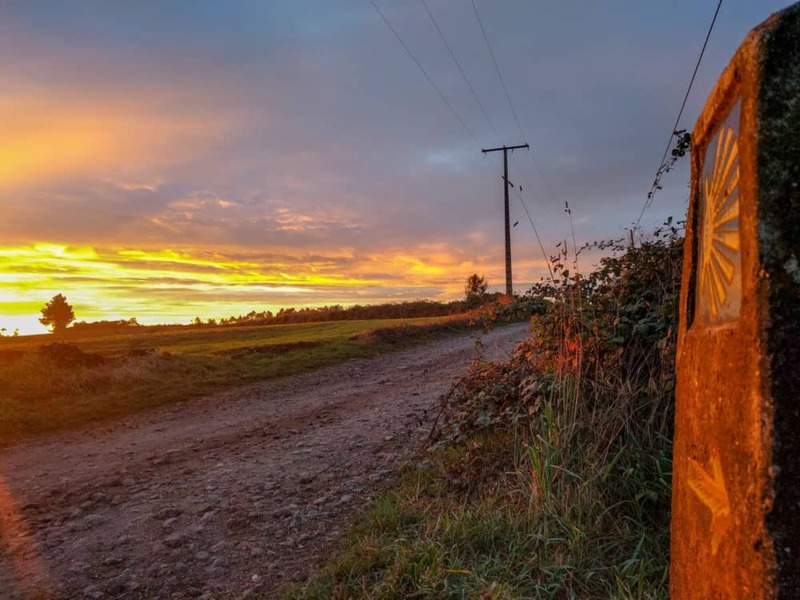 I’ve found that with less gear, and less need to access it outside the start and end of the day, the reduced size and weight of a top-loading pack works better for me on the Camino, but again, as you say, everyone will find the approach that works for them.